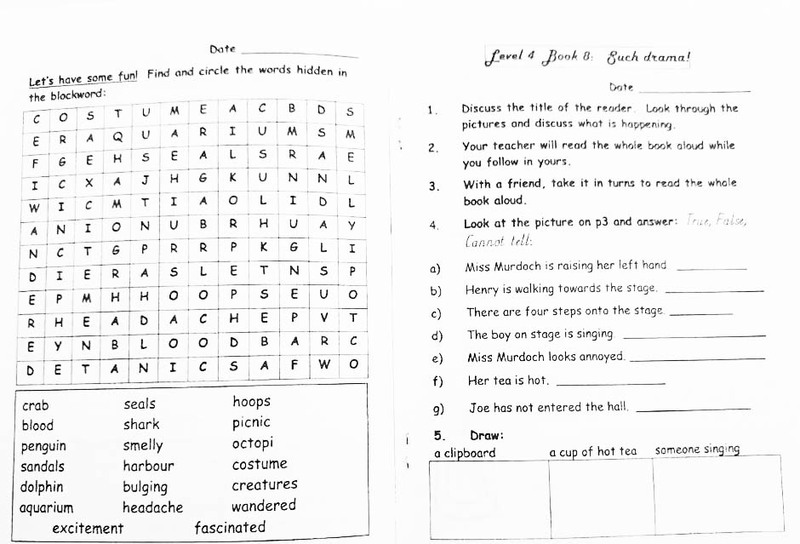 English should be the focus of your academic programme. 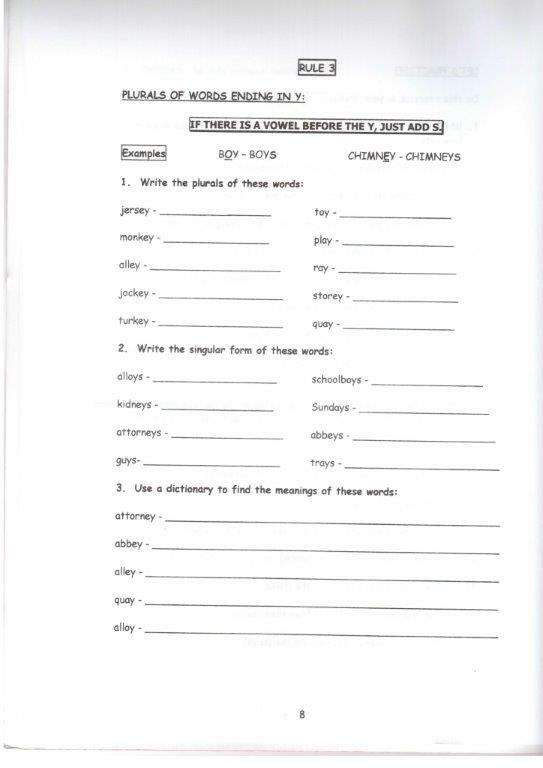 I have a vast range of material to ensure your children are not just competent at, but excel in English. 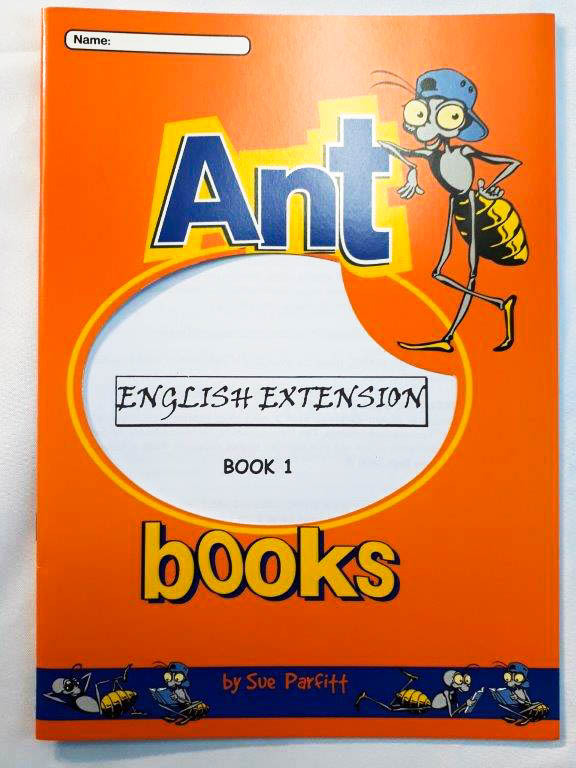 Easy to use, concise to prevent boredom, comprehensive – Ant Books has everything you need to teach or tutor English. I also have daily timetables to help you in your planning – drop me an email. 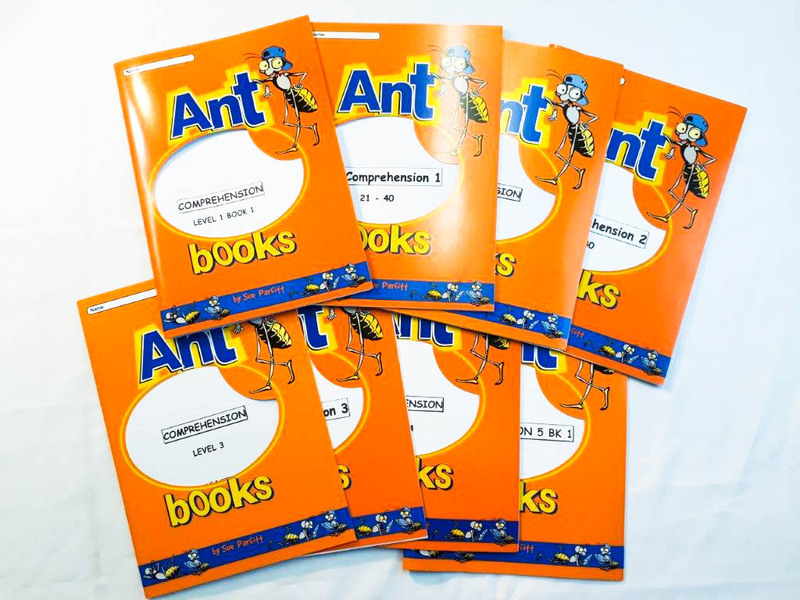 These are arranged alphabetically – email me for an order form which lists the books according to recommended grade. 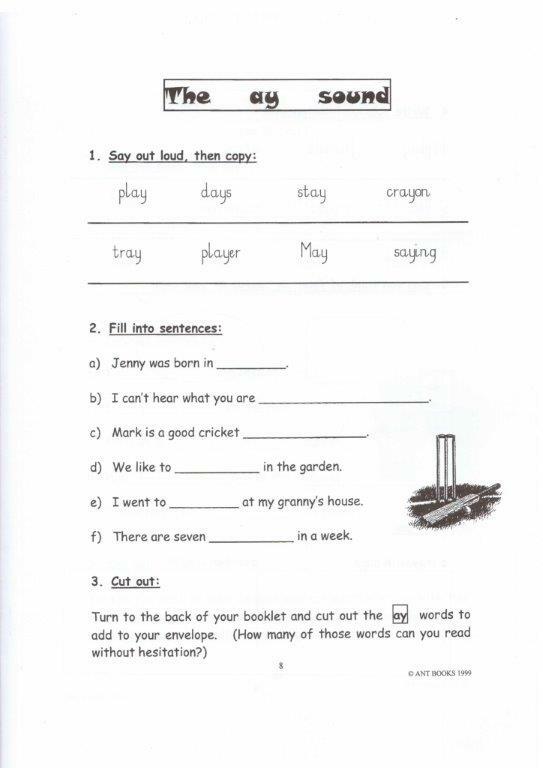 I have suggested grades here, but that is subject to your children’s ability. G0/1. 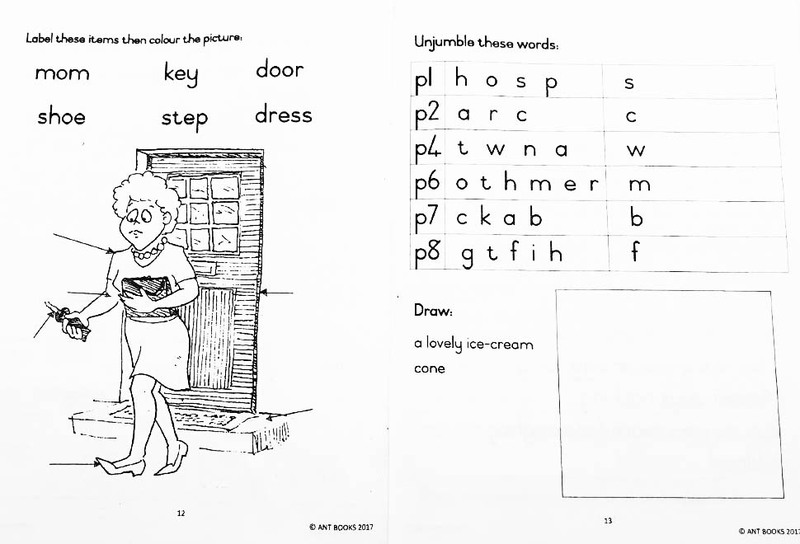 Each page simply contains a capital and lower case letter to colour, with a picture of the initial letter sound. 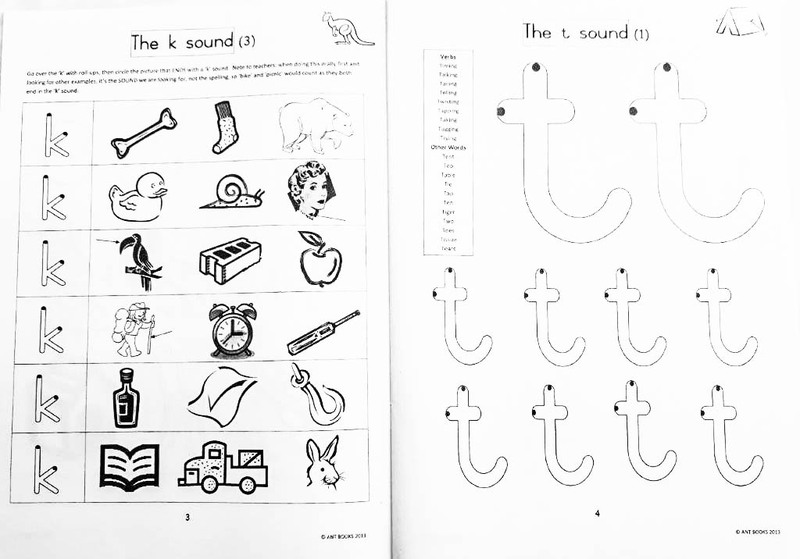 Use when teaching the sounds of the letters. G1-3. 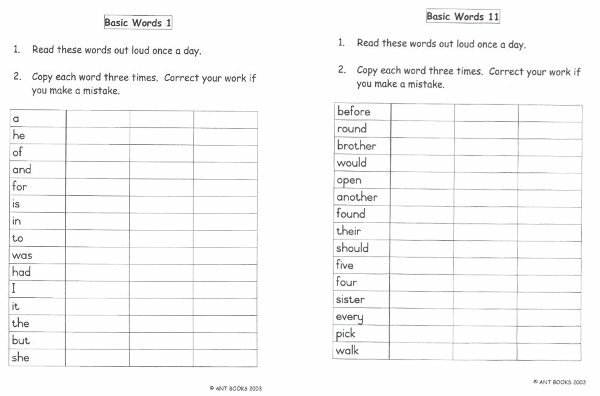 The 300 words most commonly used by primary school children, arranged in order of difficulty, in lists. 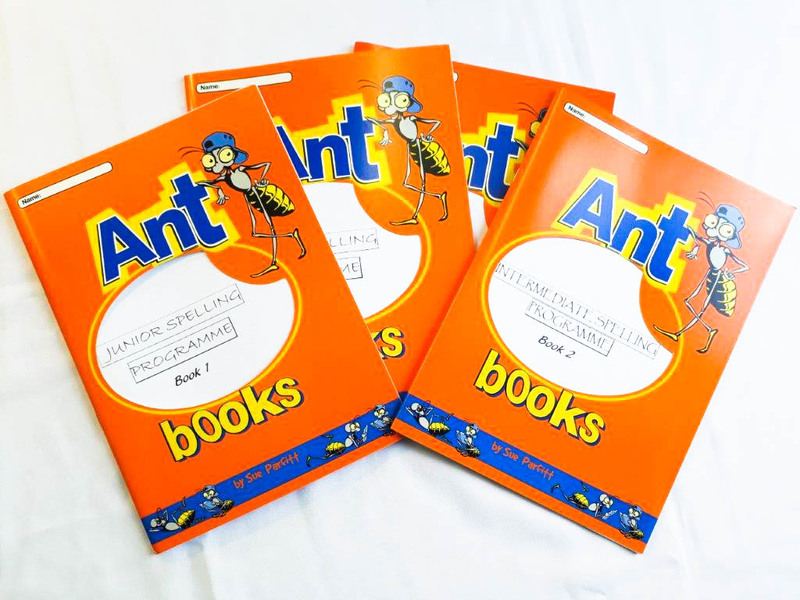 Great for building up a sight vocabulary and for spelling – versatile and useful, plenty you can do with these. G2/3. 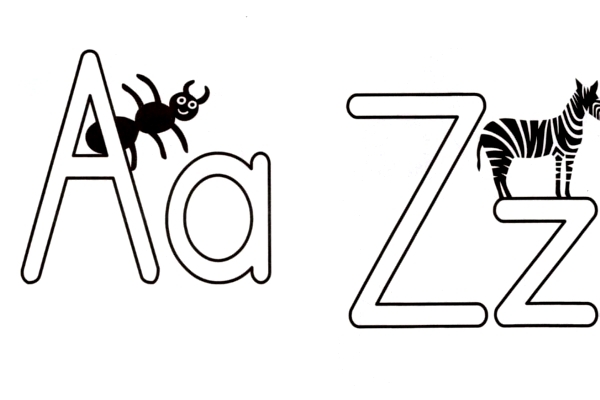 Tackles the problems many children have with differentiating between these two similar letters, with plenty of practice exercises. 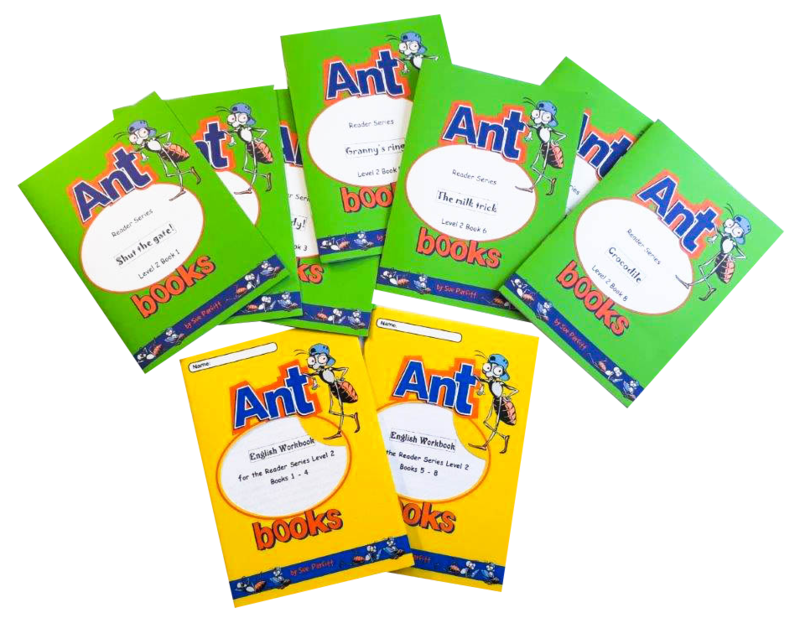 We have 8 titles to cover the primary school (and more in the pipeline!). 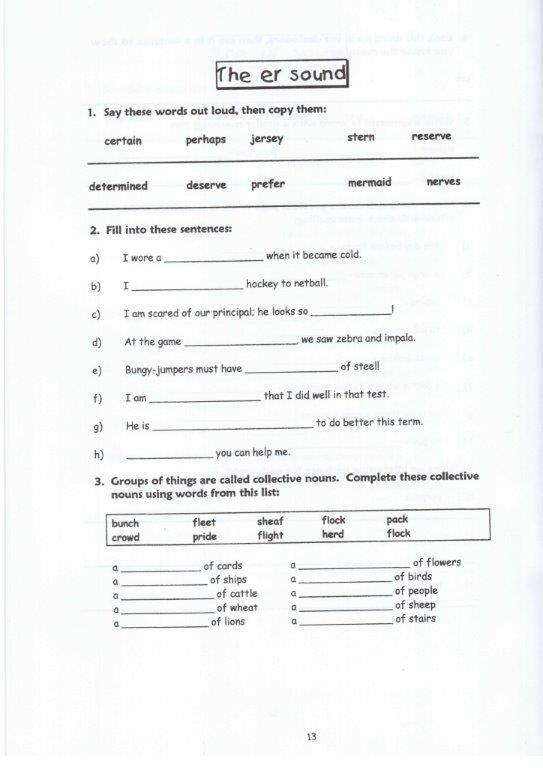 Start with a couple of simple sentences and 3 questions in Level 1, and move up to the more complex questions by Level 5. G3-7. 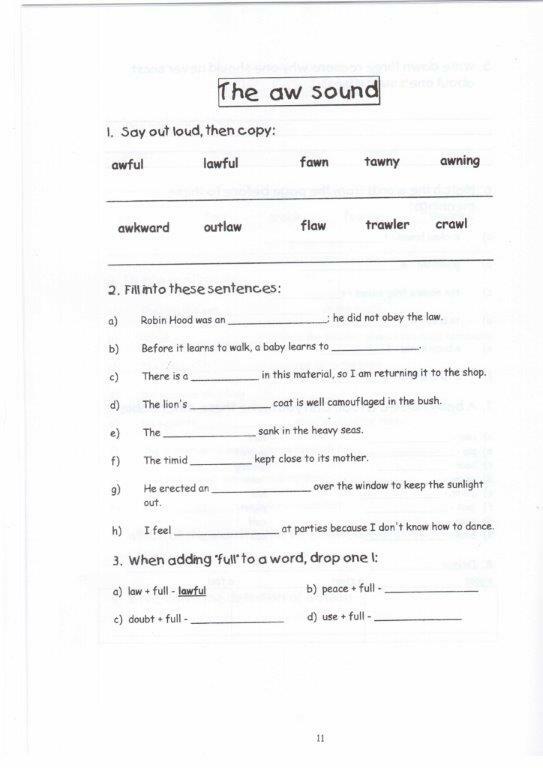 This is a fancy term for ‘fill in the missing words’, and is another way of presenting comprehension. There are 3 levels: Junior, Intermediate and Senior. "G3-6. 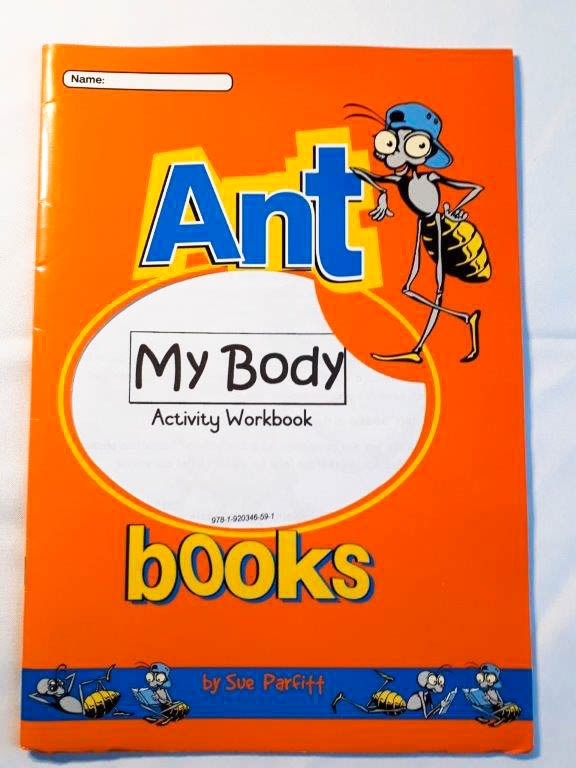 There are 4 of these popular workbooks, each with 30 pages (most of the other Ant Books have 20 pages). 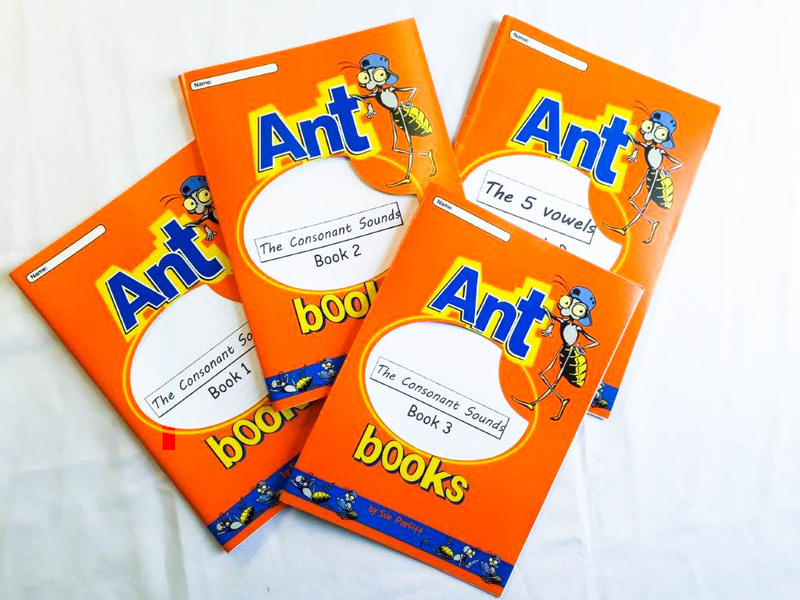 Each page contains a ‘mix’ of English: reading, comprehension, language, grammar, spelling, punctuation…Levels 1 and 2 (G3 and 4) focus on the teaching of reading; Levels 3 and 4 (G5 and 6) turn the attention to the written output. G0-3. There are 3 levels. 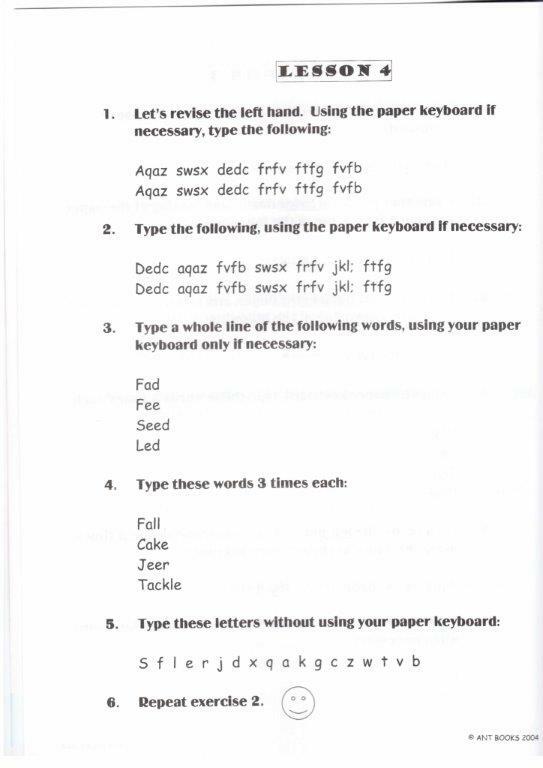 I advocate teaching your child to write in the PRINT font, although there is the ‘tails’ option, too. G2-7. 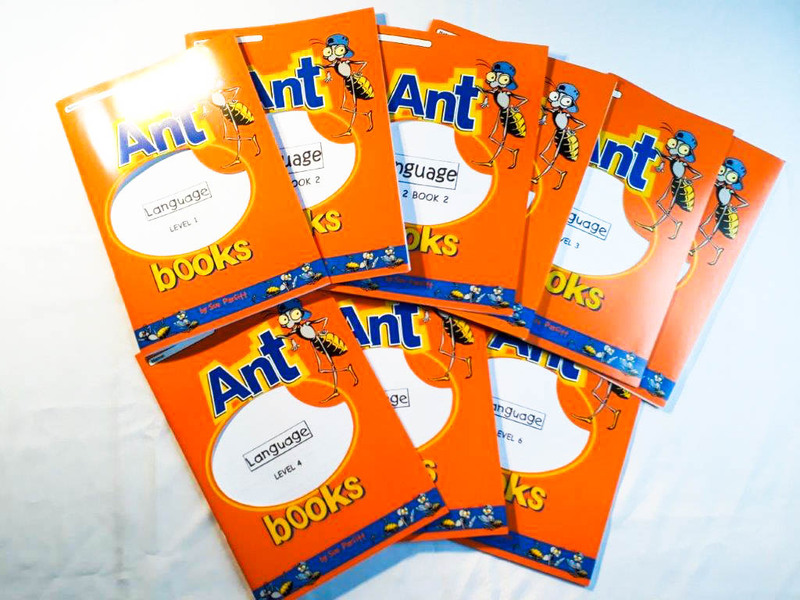 We have 9 Language workbooks to cover the whole of the primary school. 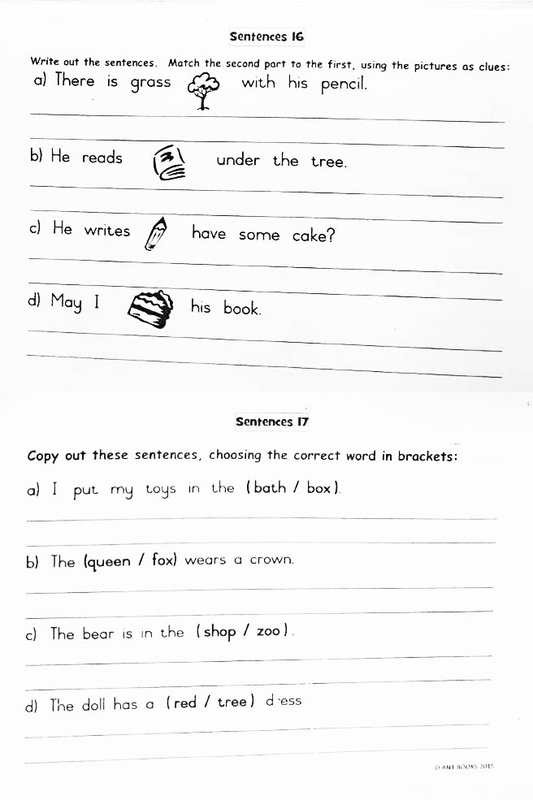 They start with simple sentence-writing in Level 1 and move right up to complex grammar, language and vocabulary extension by Level 6. G0. 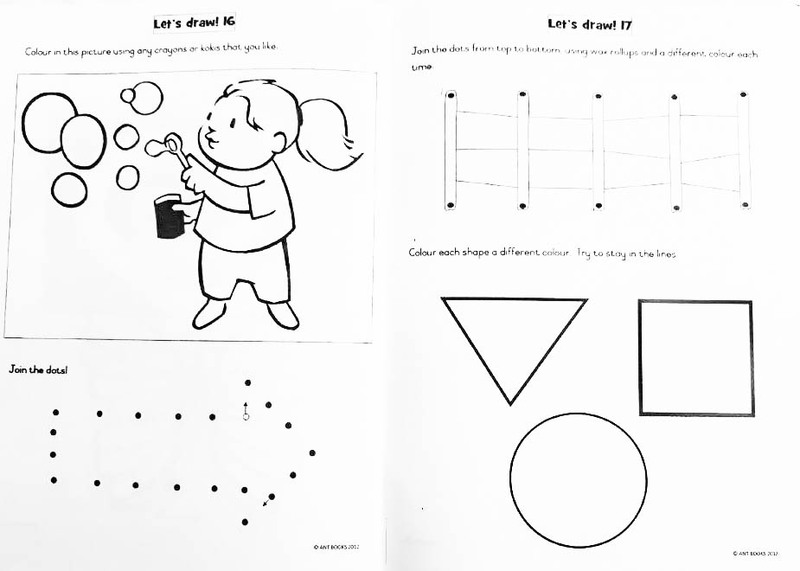 A more formal introduction to colour, with fun exercises. G0. 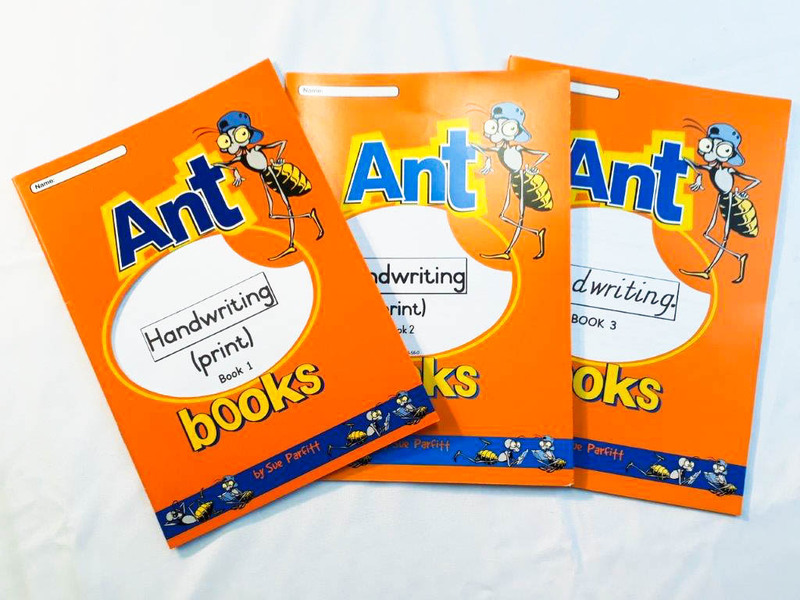 Aimed at practising the fine motor co-ordination skills your child will need before beginning formal handwriting. G0. 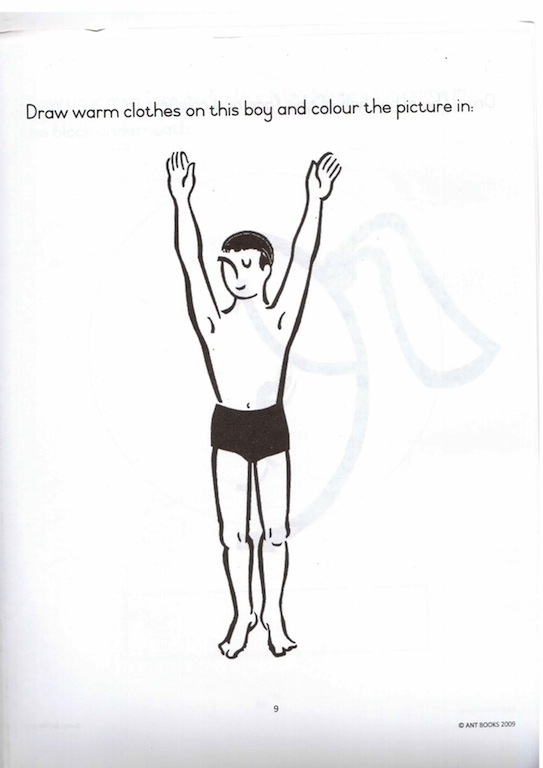 Exercises for your little one, based on the body. 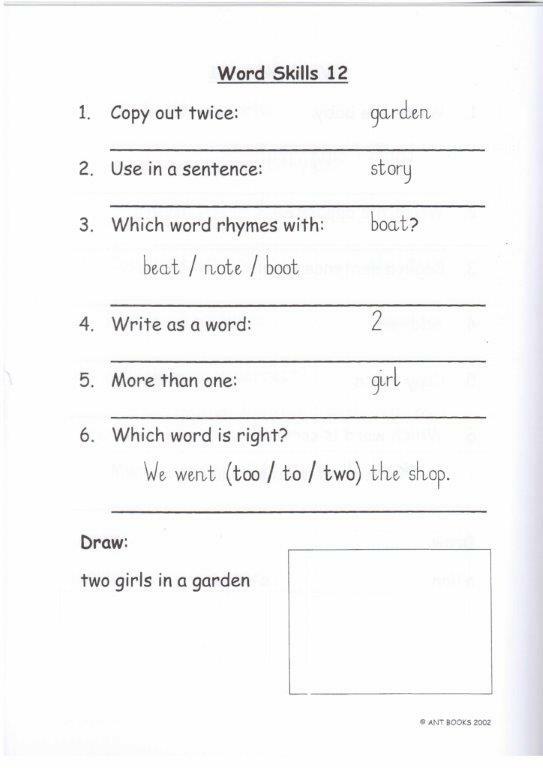 G3 AND 4. 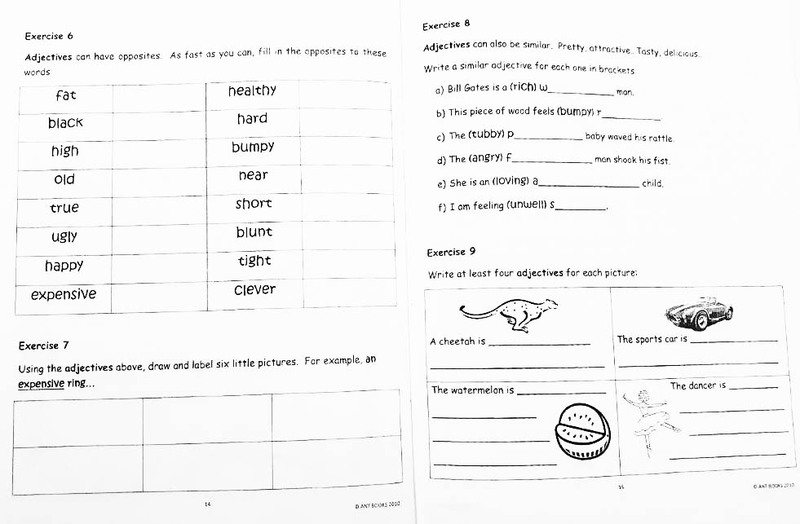 Focusing on nouns, verbs and adjectives. Plenty of practice! G0/1. 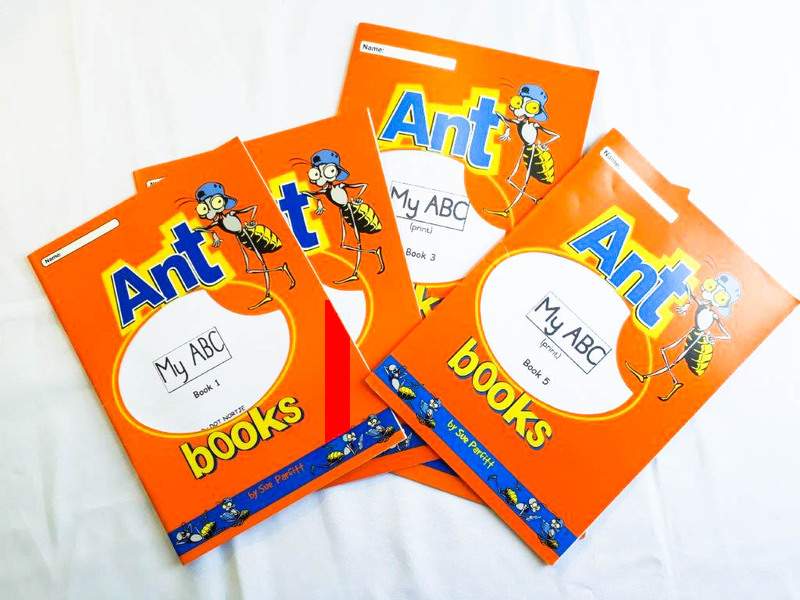 5 workbooks covering the whole alphabet and focusing on initial sounds. G1. 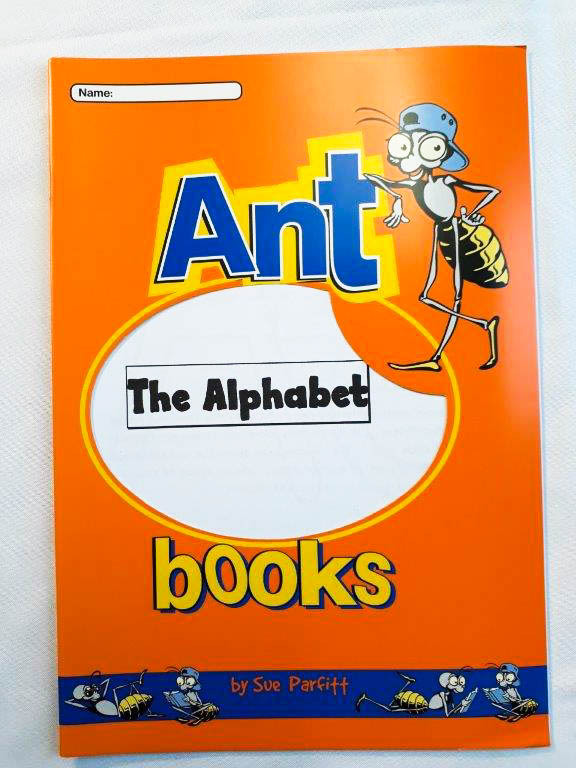 More workbooks covering the alphabet sounds, including games and handwriting. G1. To follow on from the 2 sets above. 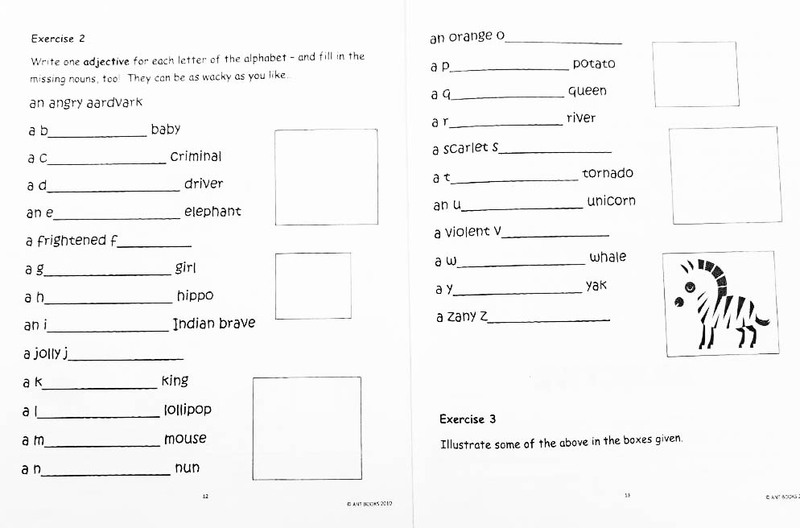 The English vowels need plenty of practice! G2-6/7. 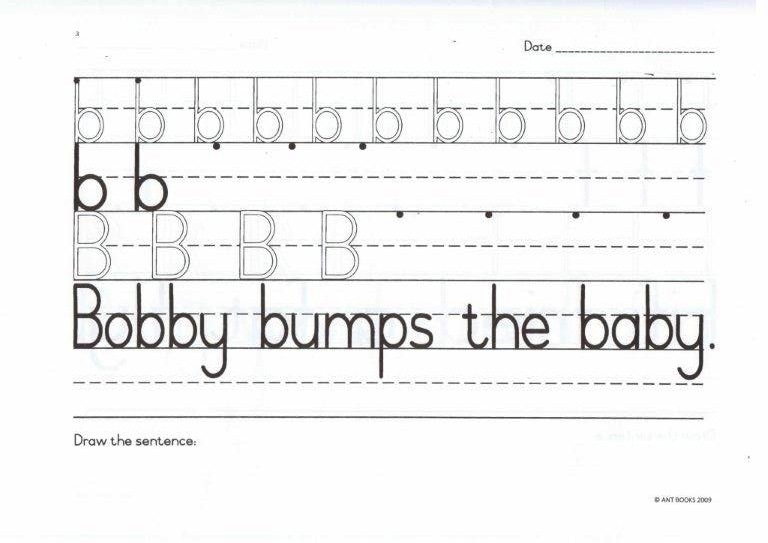 Don’t stop teaching phonics after grade 3! 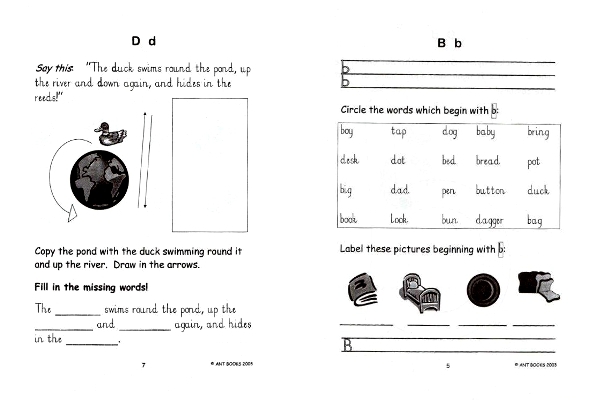 2 workbooks at each level, covering the digraphs and diphthongs (a double page for each). G0. 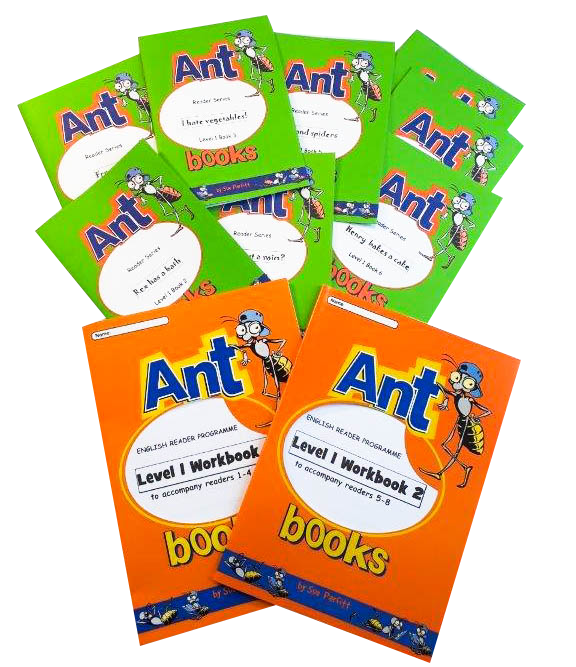 2 workbooks to start to make learning more formal – exercises in cognitive, language and maths activities. G3-7. 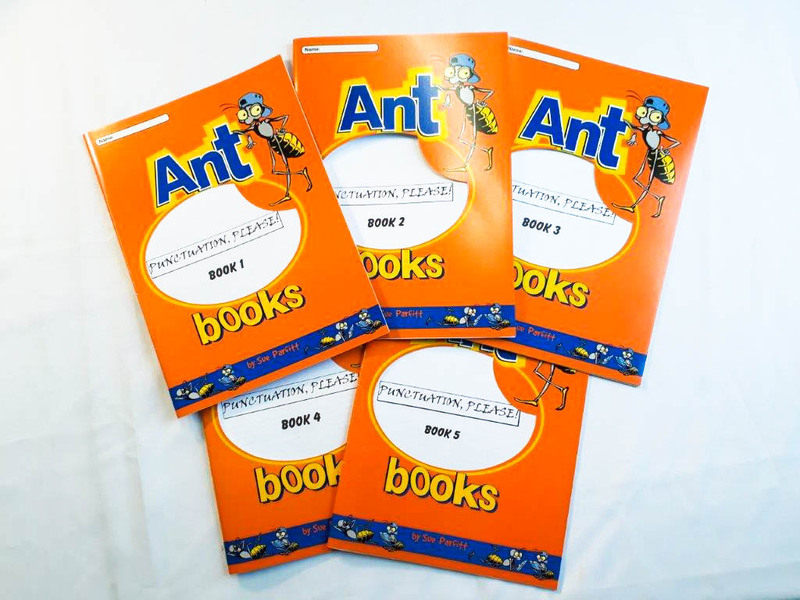 These 5 workbooks cover all the punctuation a child will need, carefully graded with revision of the work of the year before to start each one. 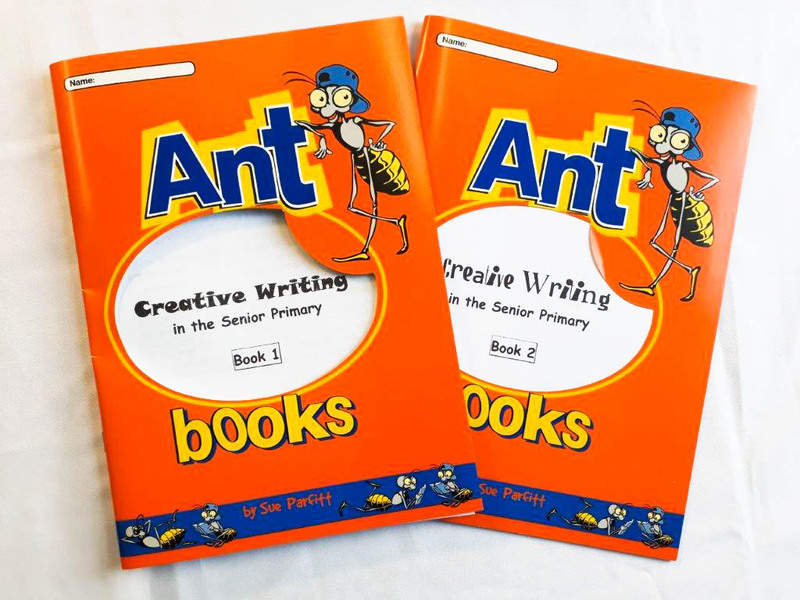 From Book 1 to 5 they will cover capital letters, full stops, exclamation and question marks, colons, semi-colons, the dash, the comma, apostrophe, speech marks. G1-4. 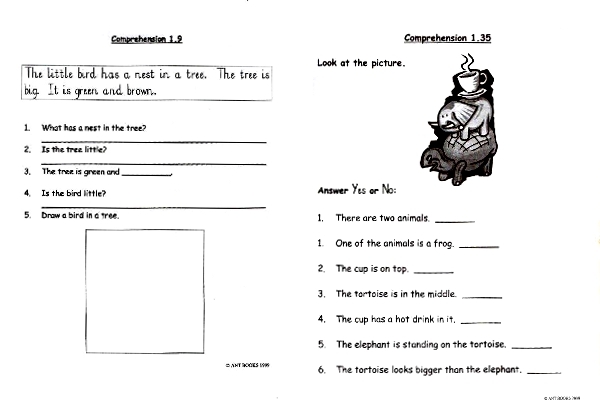 More comprehension exercises – read, write and draw! Three levels. 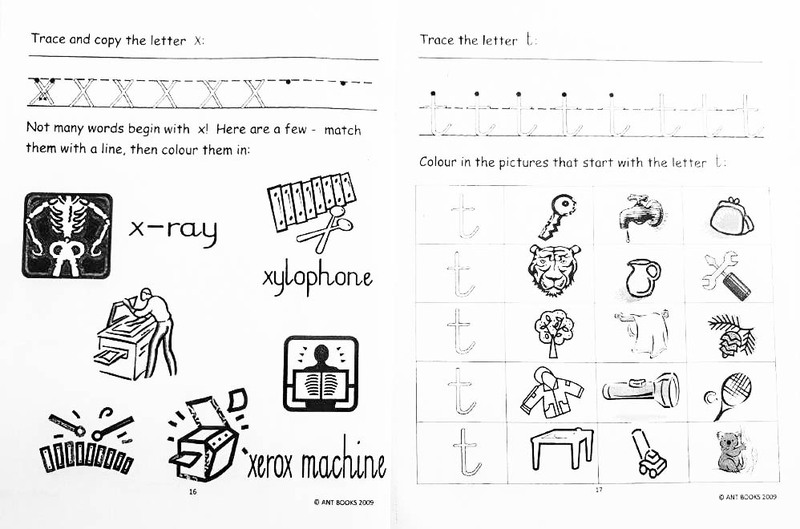 The children think they are merely drawing a pretty picture, but they are forced to read, skim and scan the text constantly, thus practising these techniques. G1. 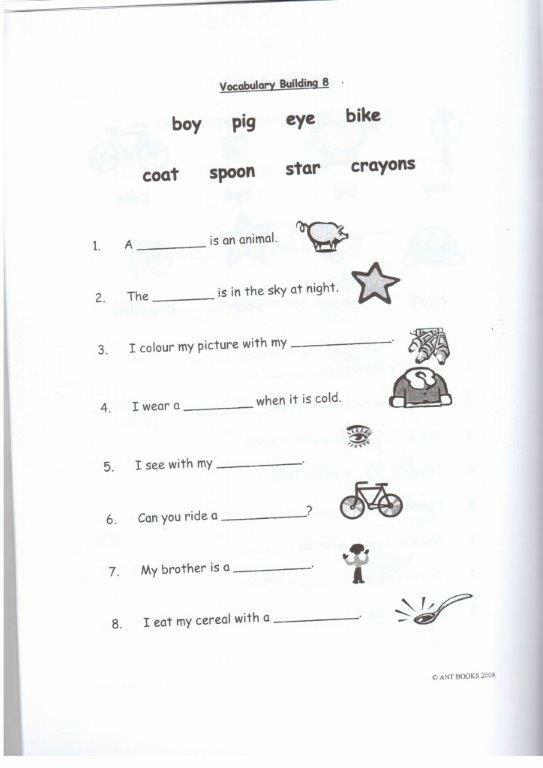 Before beginning your child on language work, ensure he can copy the simple sentence. G4-7. 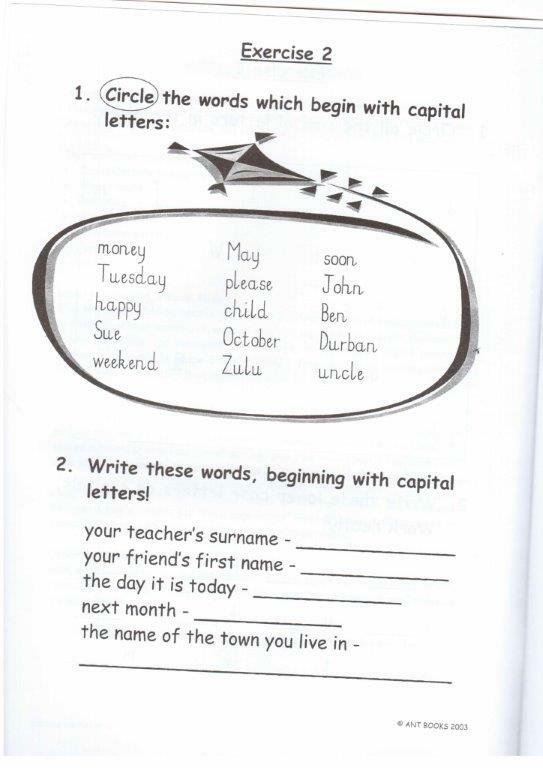 Once your child reaches grade 4, it is time to formally teach spelling. 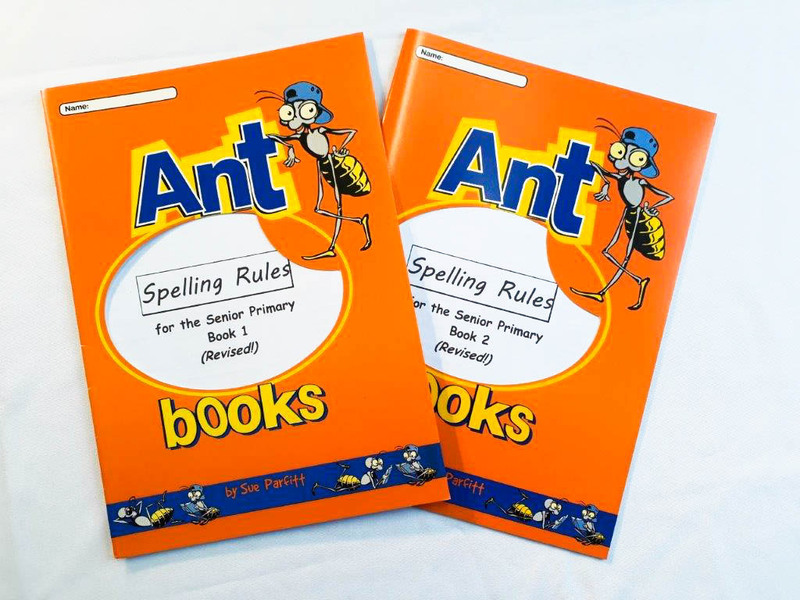 These 4 workbooks attack spelling with a 3-pronged effect: high frequency words; phonics; rules. 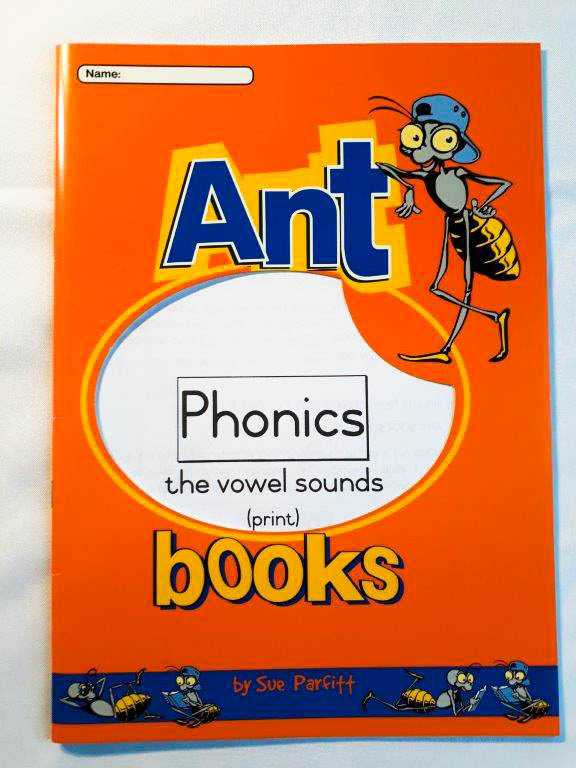 Must be used in conjunction with the related PHONICS, WORD SKILLS and SPELLING RULES workbooks for a comprehensive programme. G6/7. 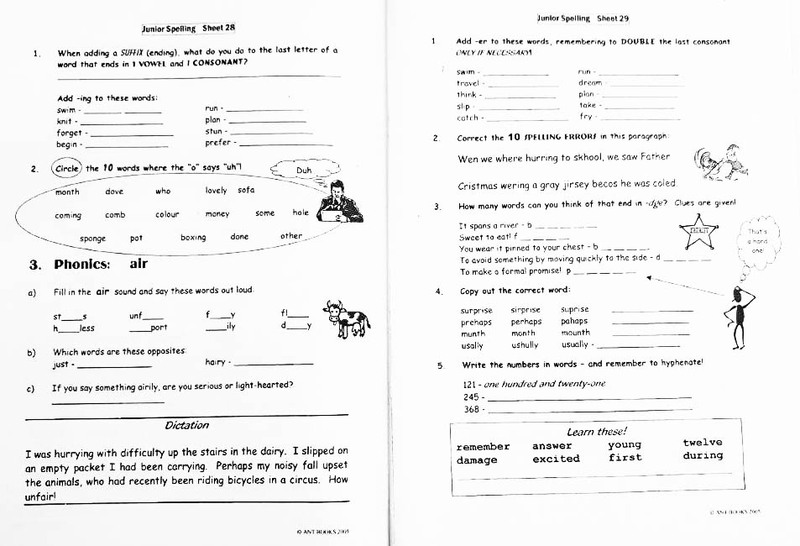 Use in conjunction with the SPELLING PROGRAMMES – more exercises in the English spelling rules and their exceptions. G6/7. 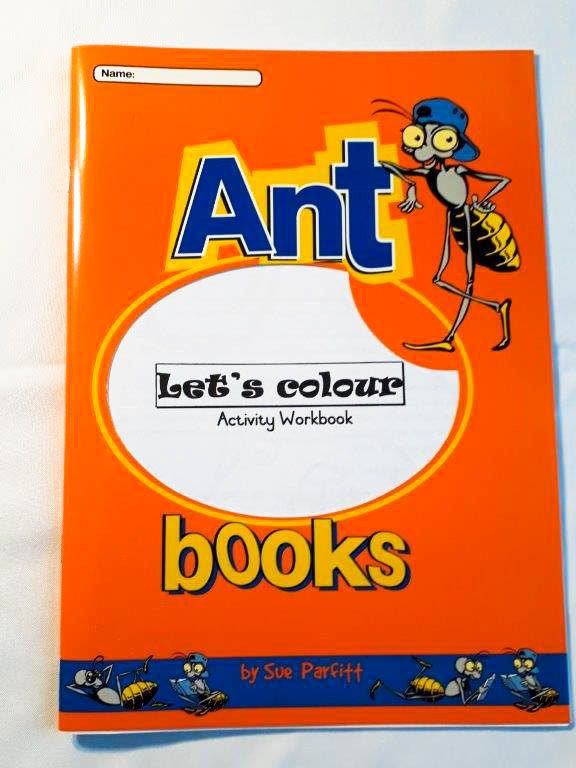 One of the most valuable skills I ever learnt – hence all the Ant Books! 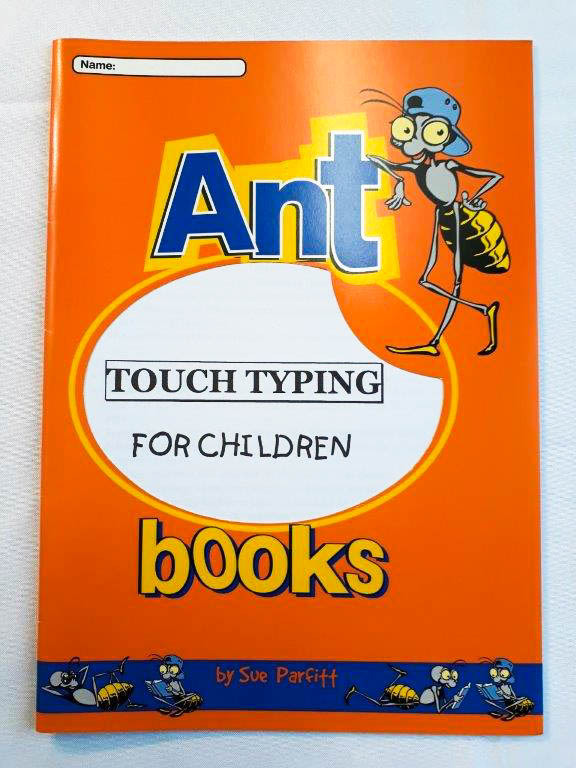 We all have to use computers; teach your child to touch type for speed. G1/2. 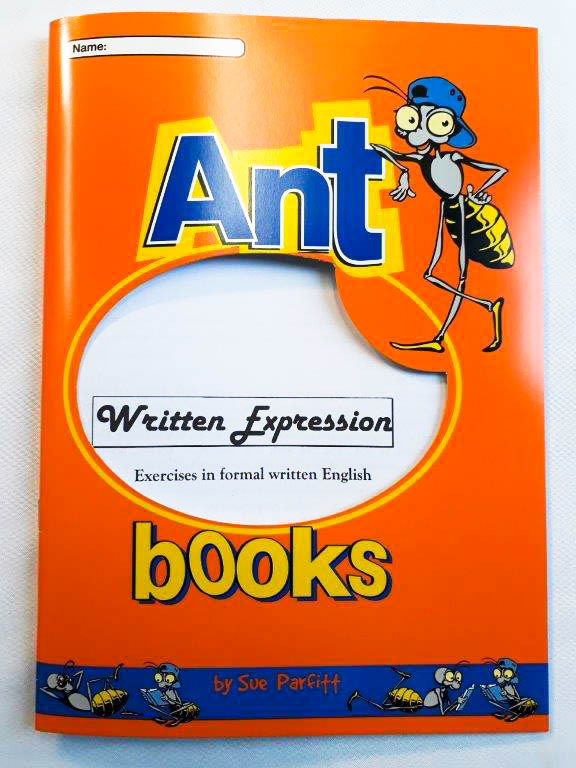 These are aimed at 2nd language students and cover high-frequency common nouns in sentence work to increase basic vocabulary. 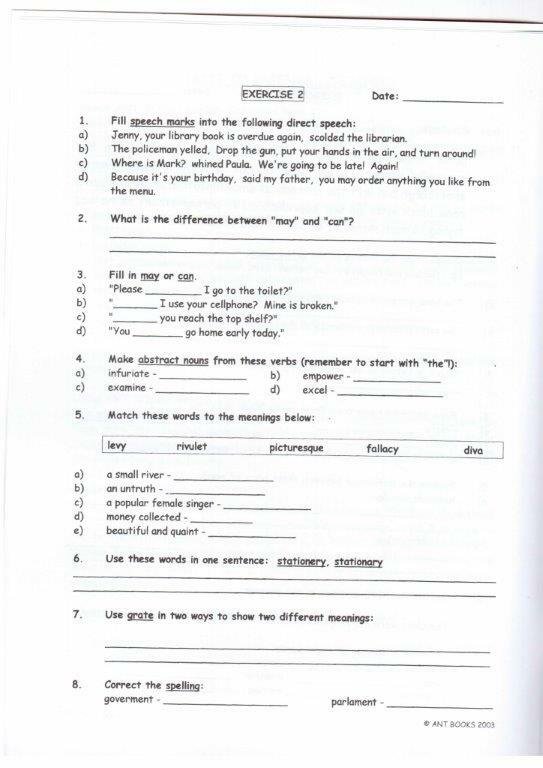 Formal exercises in written expression, such as reports, descriptions, narratives, poems, book reviews, etc, with notes on what to do and what not to do, and many examples. 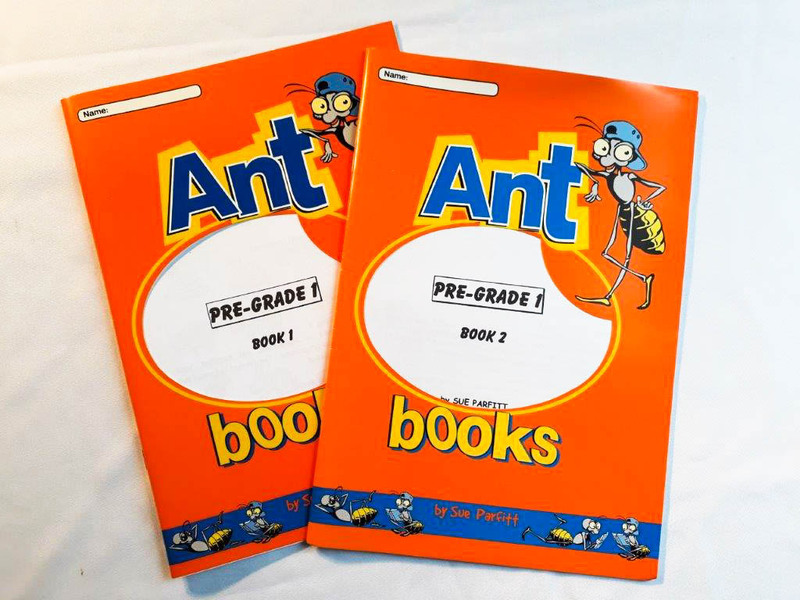 Great for grades 6 and 7. G2-7. Everyone’s favourites! 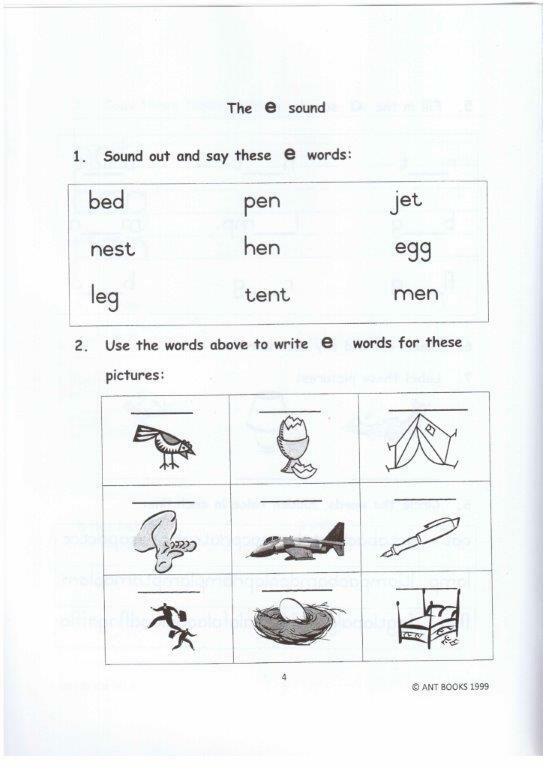 The children have to perform tasks with high-frequency words, so it involves comprehension too, as well as covering language and grammar in an informal way. 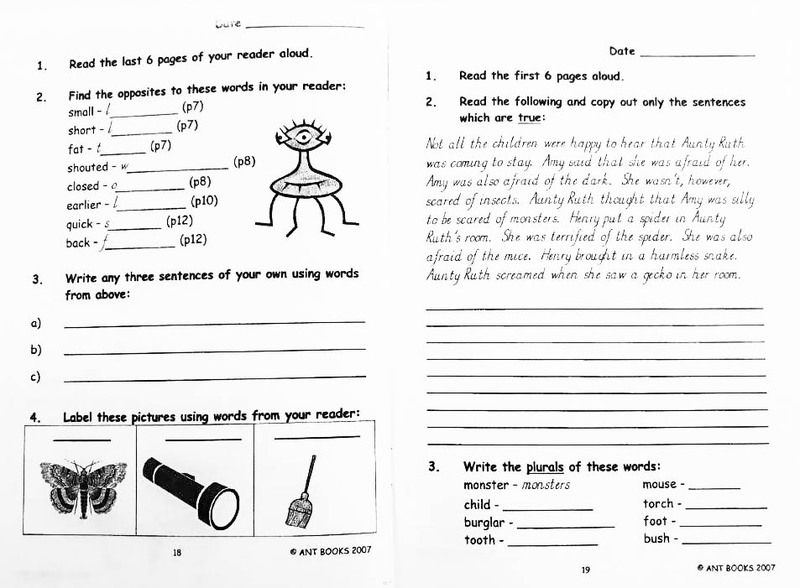 I believe in teaching reading right up to grade 5 – and even beyond, if necessary. 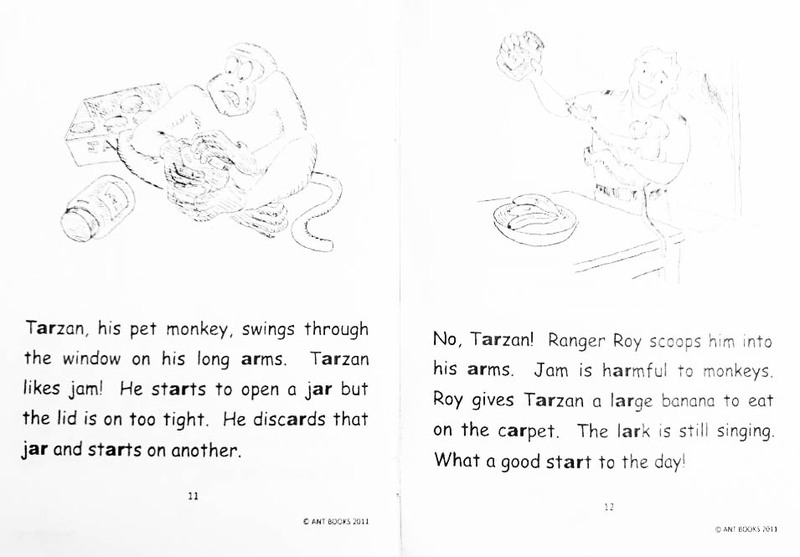 There is no ‘cut-off’ age by which a child should be a competent reader; it’s up to the child. 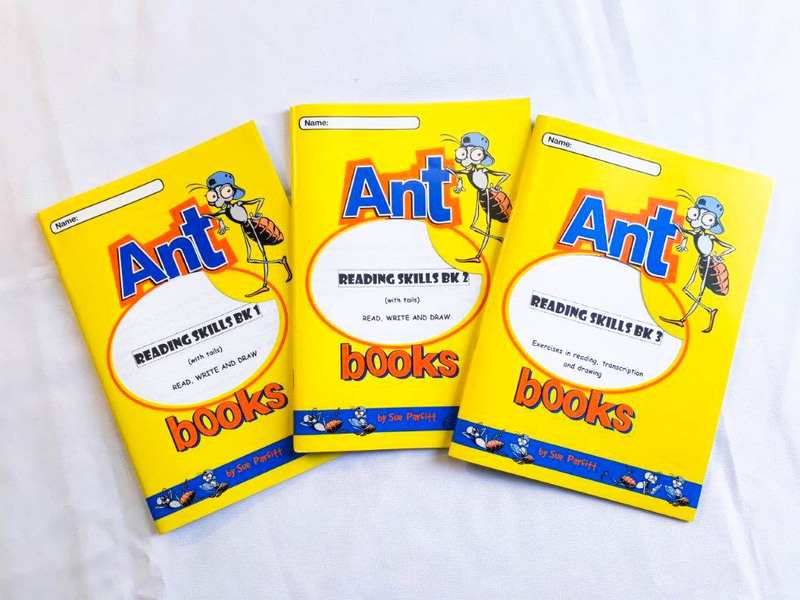 Be sure to include reading in your daily English programme until you have covered all the Ant Books Reader Programmes. 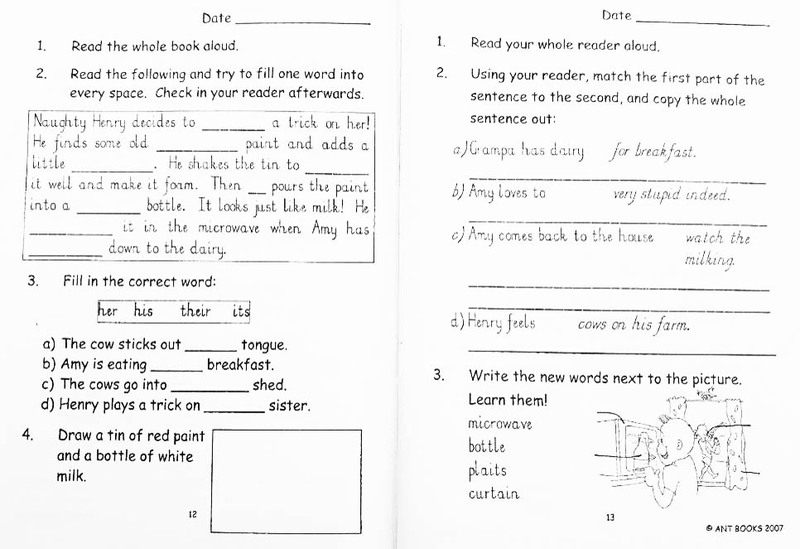 BEGINNER – Brand new in 2019! G1. 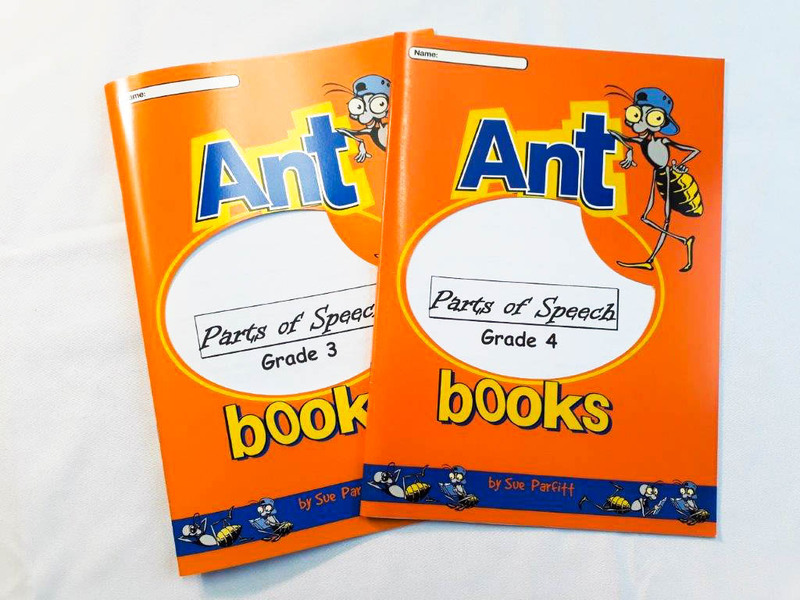 Teach your little one to read from grade 1. 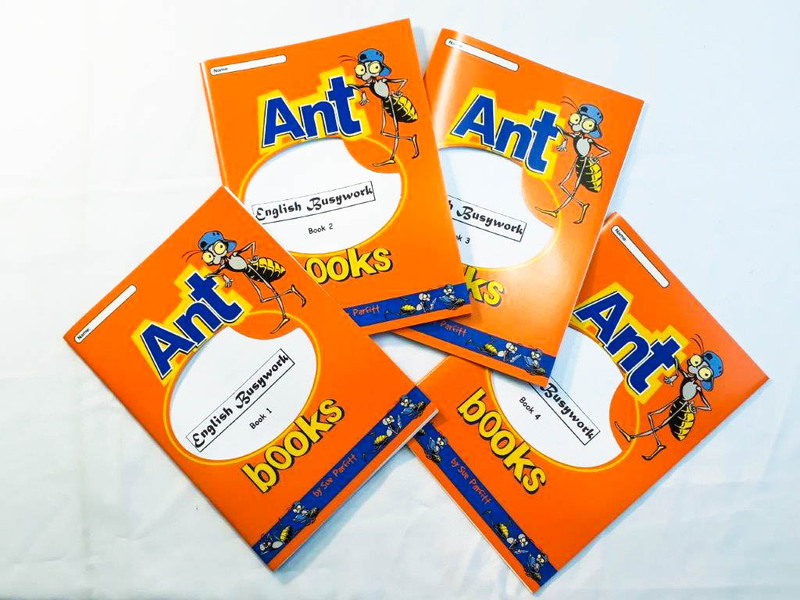 A complete PACK containing some of the Ant Books (the 4 Consonant and Vowel workbooks; Handwriting bk 2) and 10 sets of worksheets, with detailed instructions for the parent. G1. 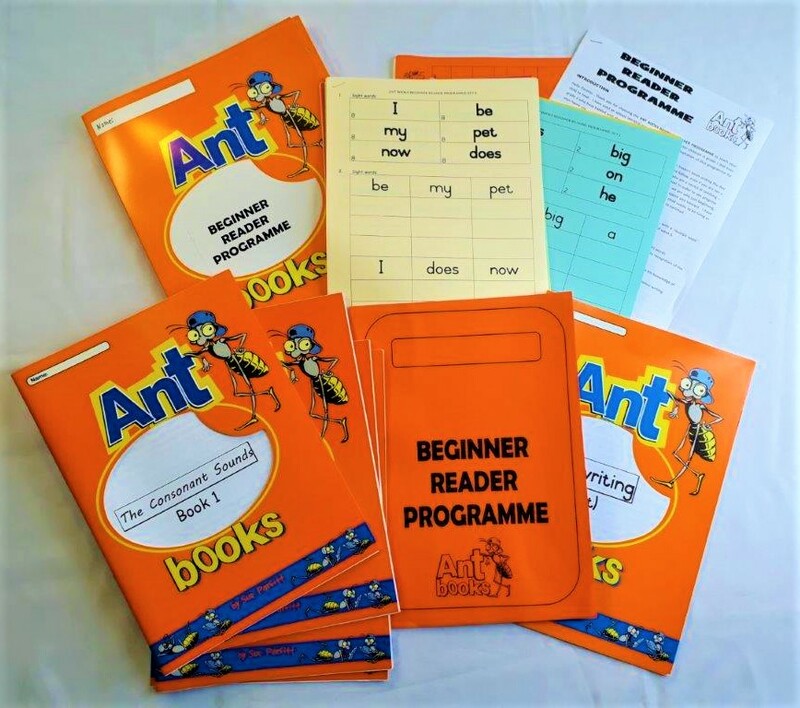 Follows on from the Beginner Reading Programme. 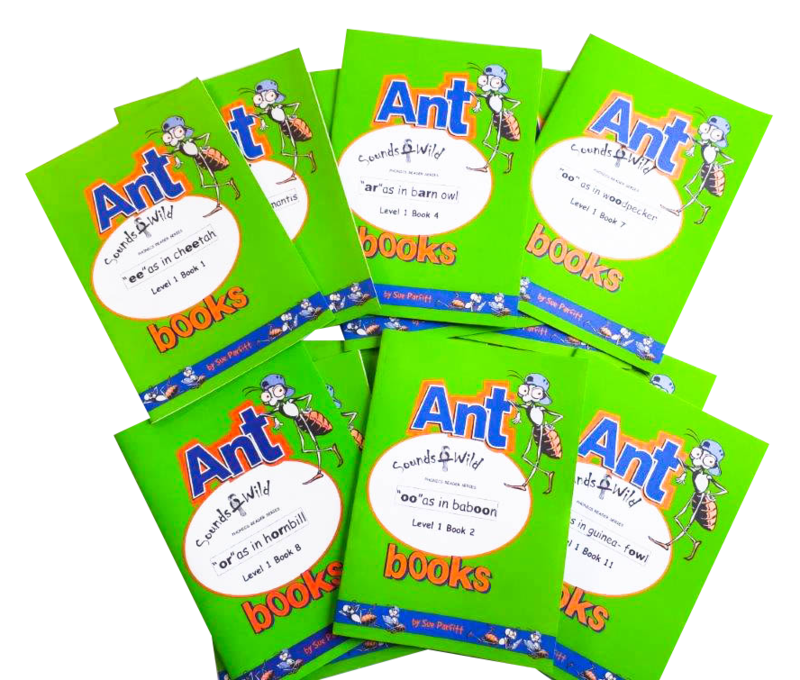 8 readers and 2 workbooks, plus a detailed guide for the parent. 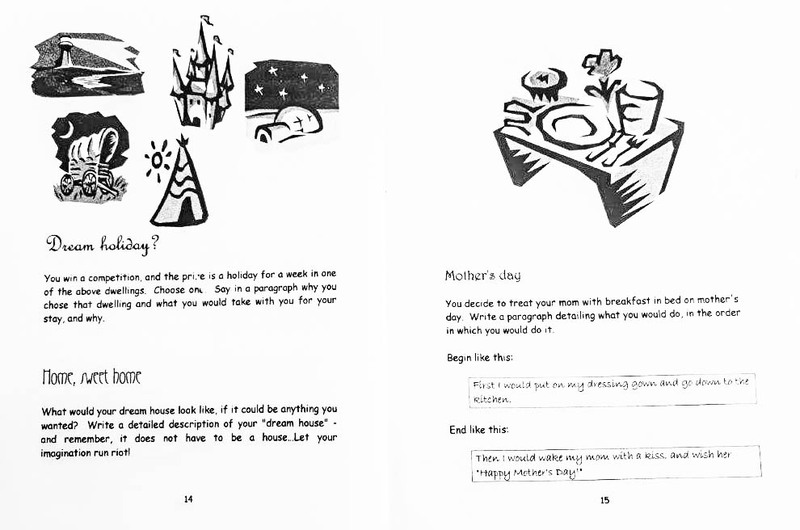 Each green reader has 12 pages, with delightful line diagrams. 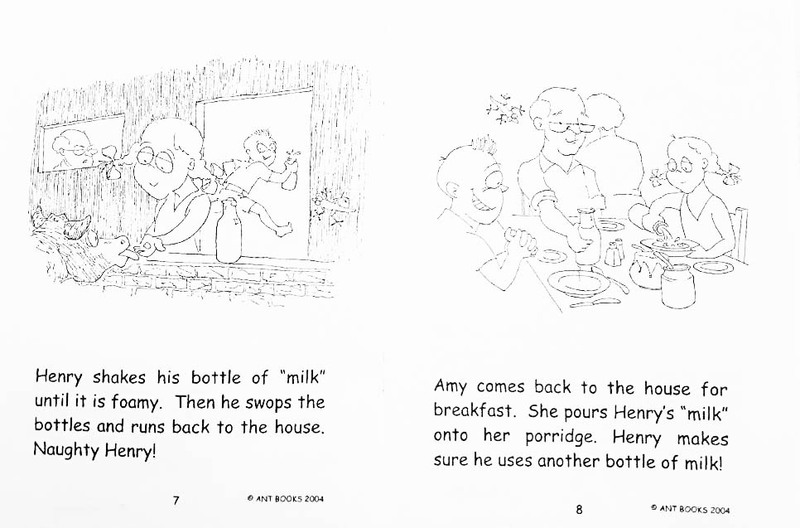 In Level 0, your children are introduced to the main character, “Naughty Henry” and his family. 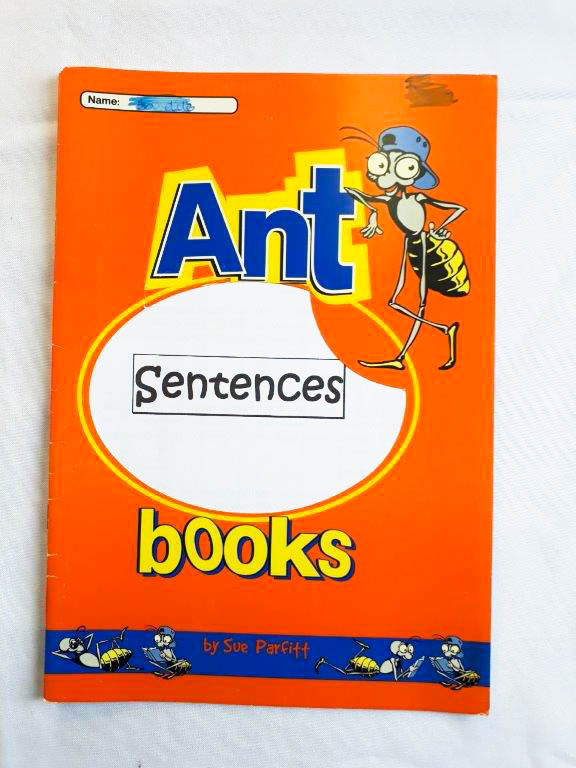 There is one sentence per page. G2. 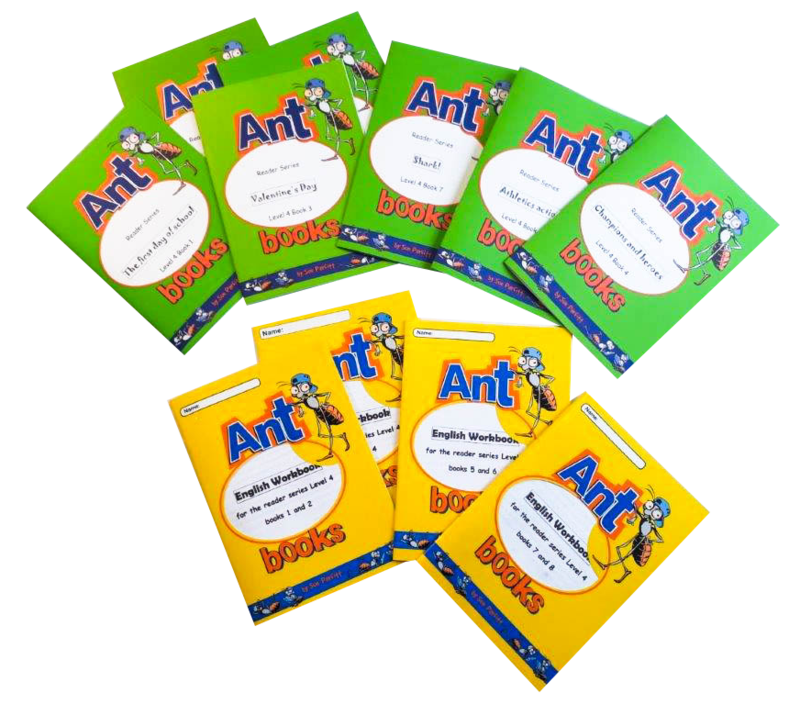 Set of 8 readers and 2 workbooks, plus a detailed guide for the parent. 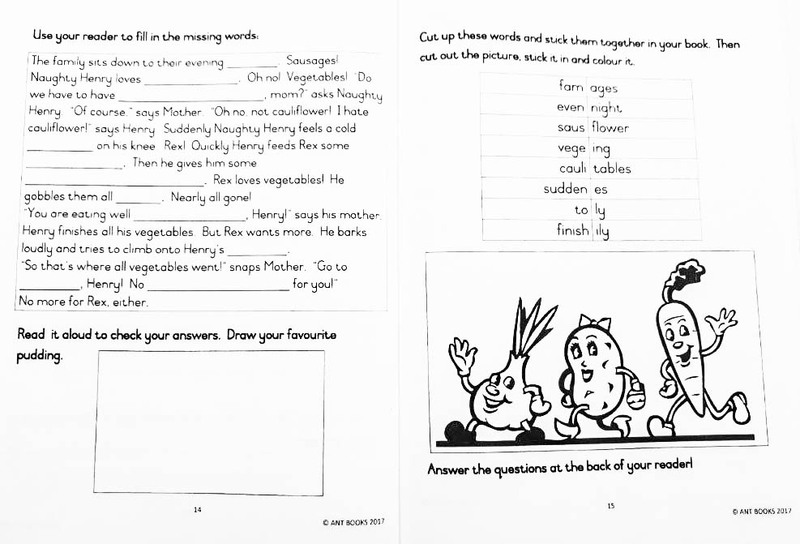 More amusing “Naughty Henry” stories, all set in the home – up to 25 words per page, with comprehension questions at the back of each story. G2/3. 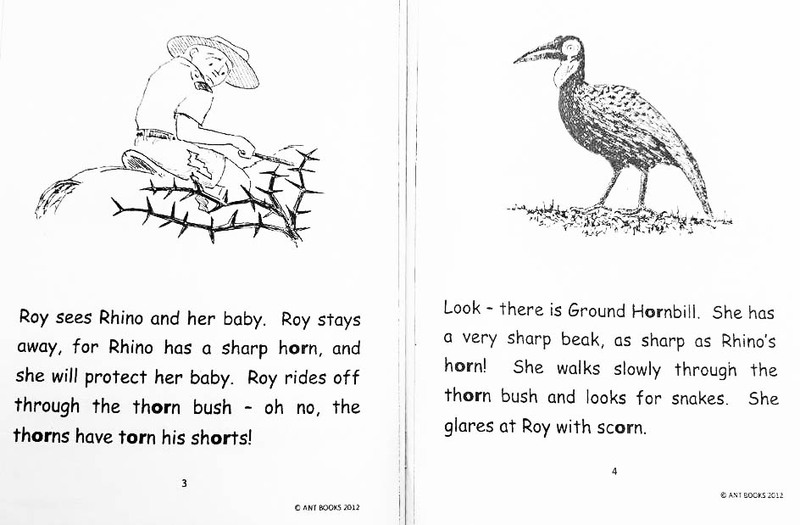 More amusing stories about “Naughty Henry” on the farm. 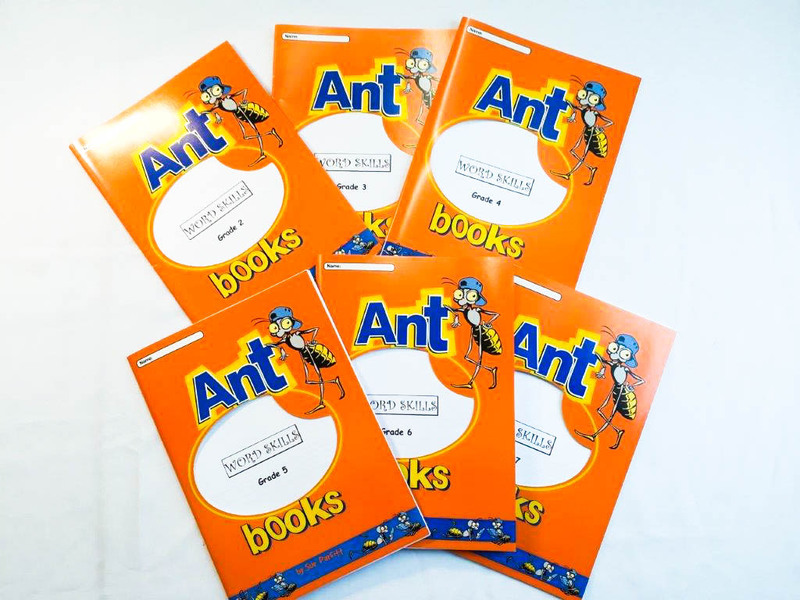 Set of 8 readers and 2 workbooks, plus a detailed guide for the parent. 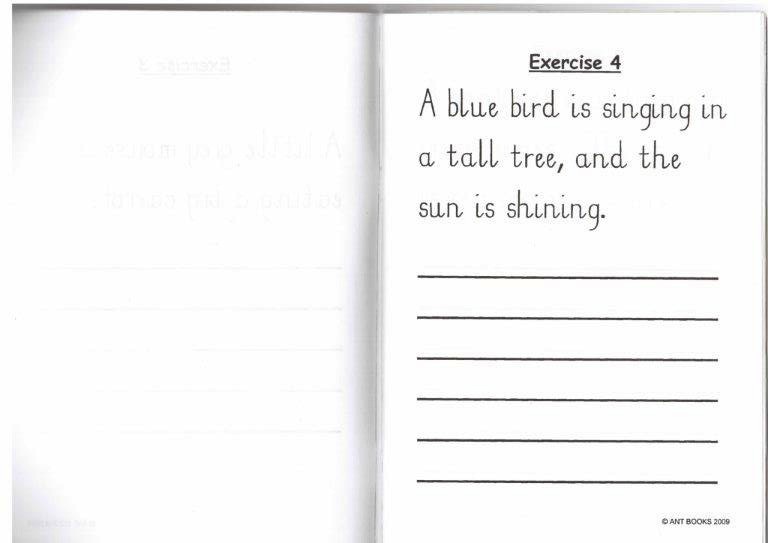 Each page has about 35 words, and there are comprehension questions at the back of each reader. G3/4. 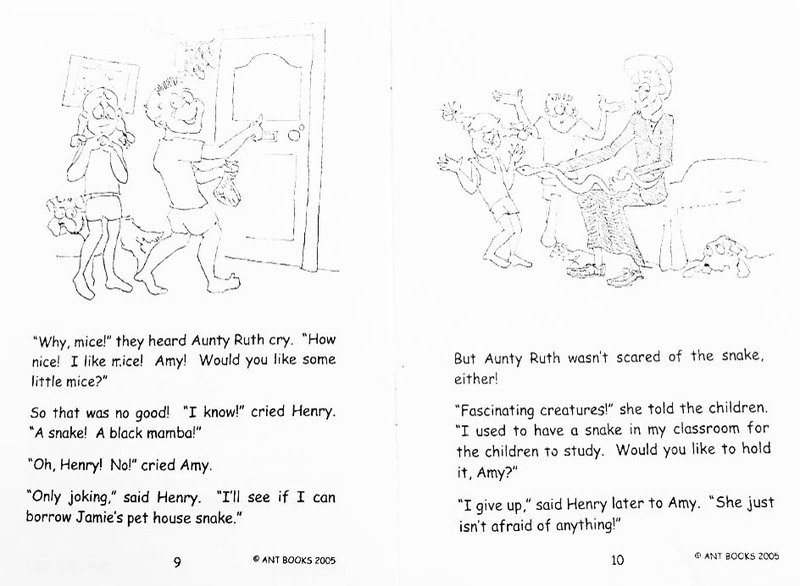 More amusing stories about “Naughty Henry” and his family and friends. 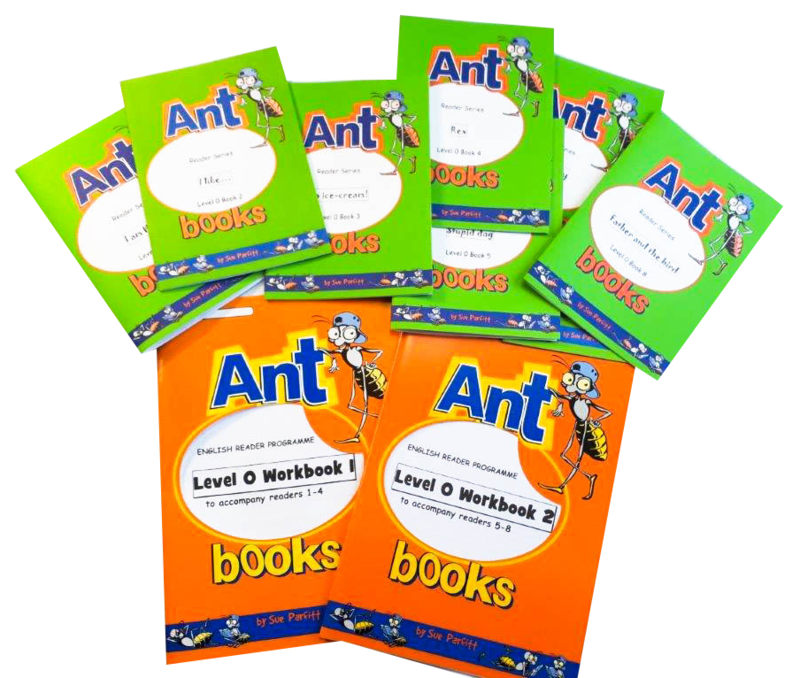 A set of 8 readers and 4 workbooks, plus a detailed guide for the parent. 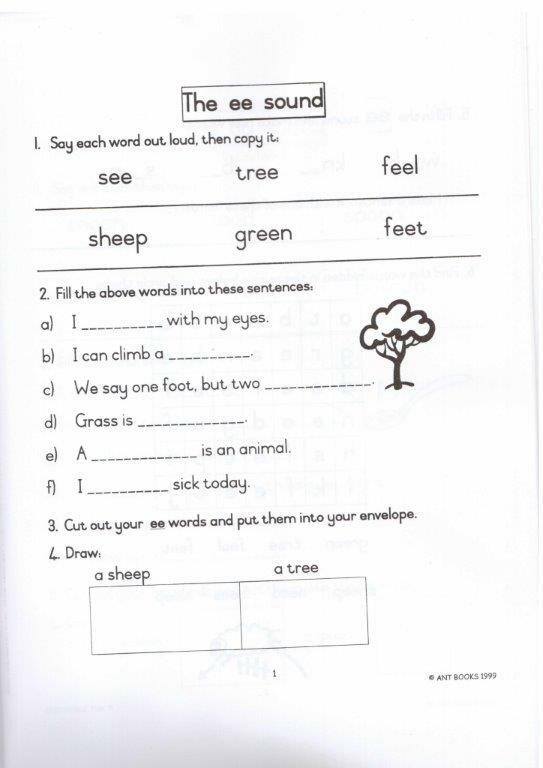 There are now up to 50 words per page, and comprehension questions at the back of each reader. G4/5. 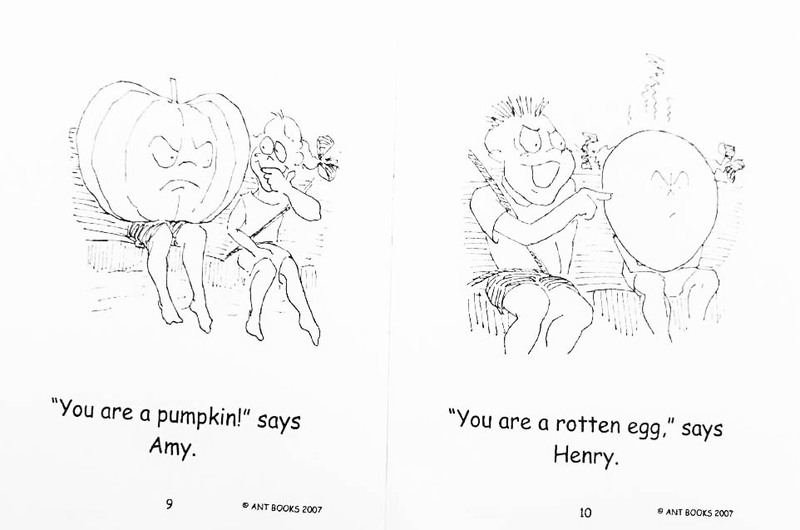 More amusing stories about “Naughty Henry” at school. 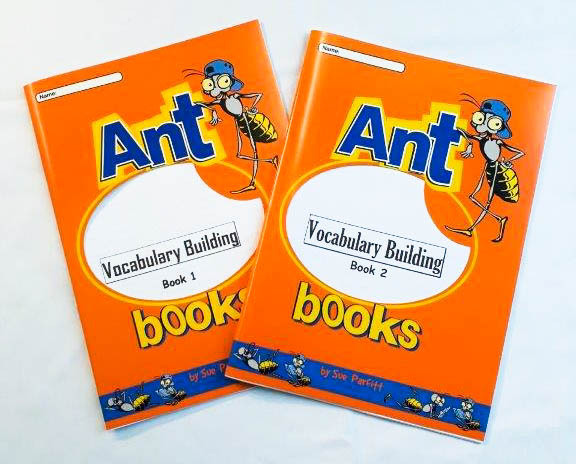 A set of 8 readers of up to 65 words per page. 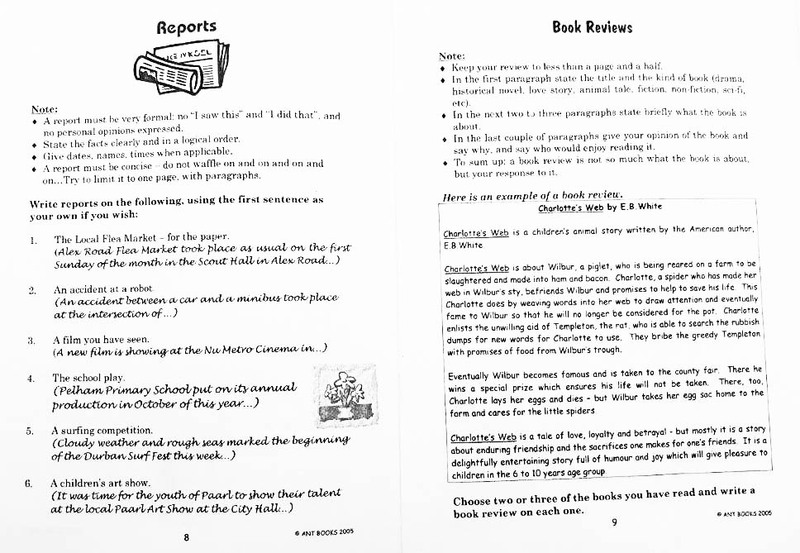 There are now 4 workbooks, plus a detailed guide for the parent. G2-4. 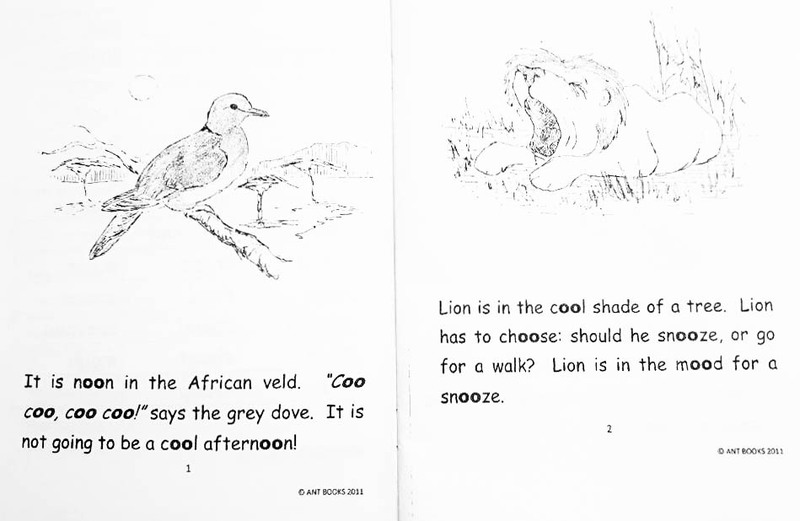 These delightful and amusing little stories are all set in the Kruger Game Reserve, with the animals as the main characters. 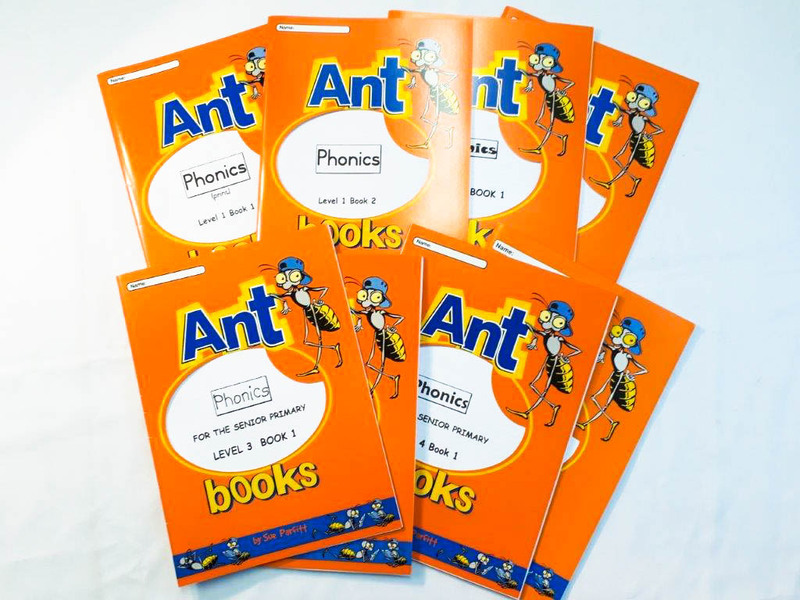 Each book covers a phonics sound in the context of a story, and are intended to be used in conjunction with the formal PHONICS workbooks. 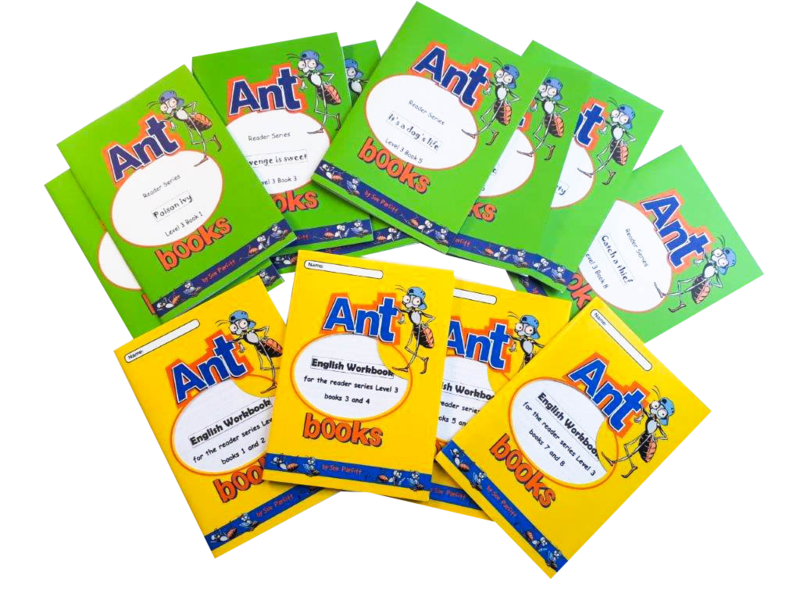 12 books in the set (10 covering sounds, 2 revision readers covering a mix of sounds). I’m often asked how to stimulate creative writing. 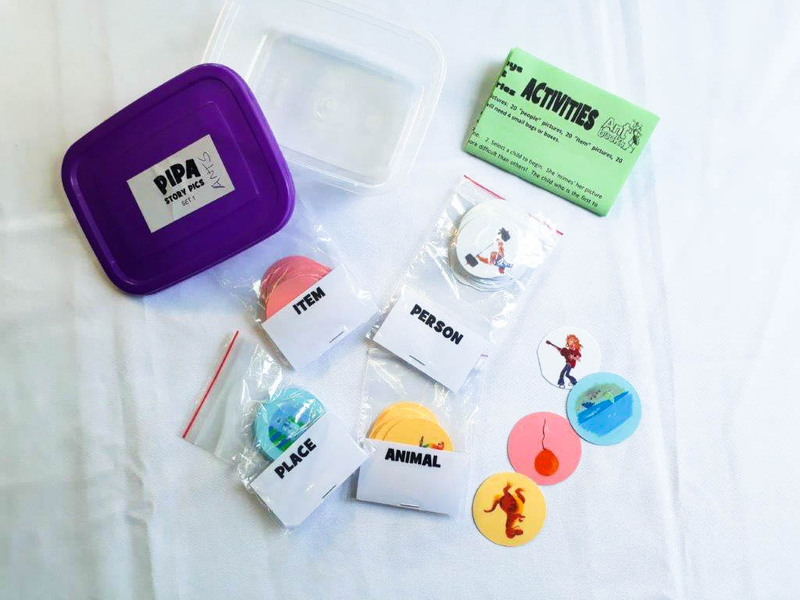 Here is a wonderful aid I’ve been using for decades: PIPA. That stands for the subjects: Person, Item, Place and Animal. 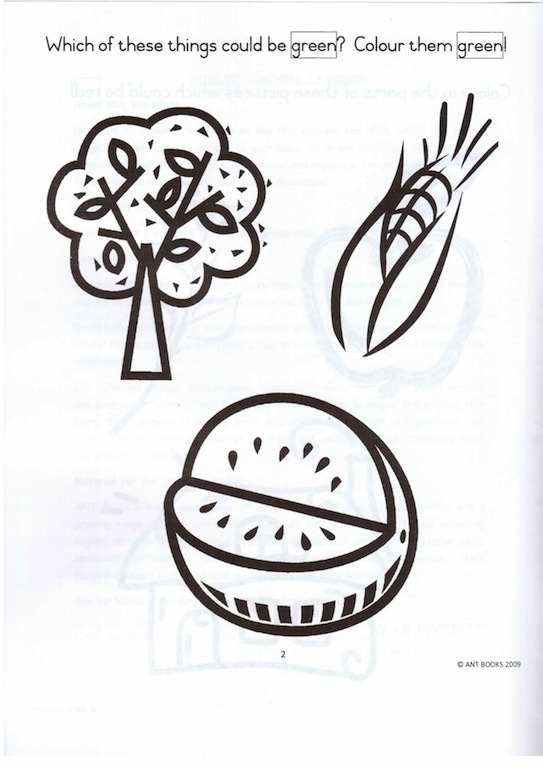 For each subject there are 20 small picture discs, and, for example, your child/ren take one from each subject at random and use those seemingly unrelated pictures to form a story. 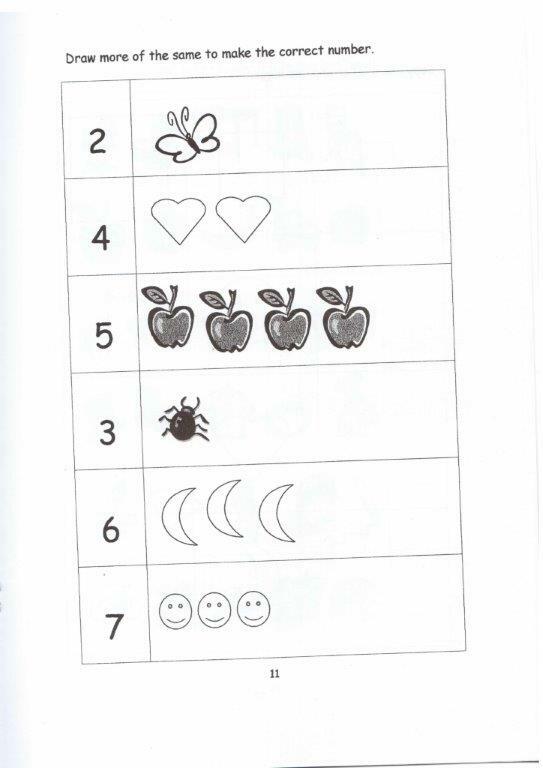 So she may have picked out a GRANNY, a RING, a VOLCANO and a SPIDER. Now comes the fun part: making a story that involves all four! The results are often hilarious! The point is, because one is not able to make a ‘sensible’ story, the imagination is set free – and really creative thinking can take place. 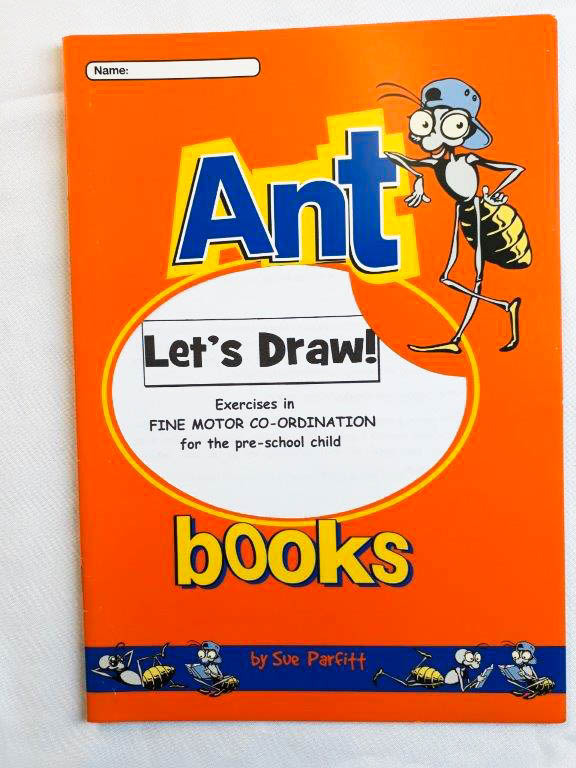 Use them to develop little skits to act out, too. 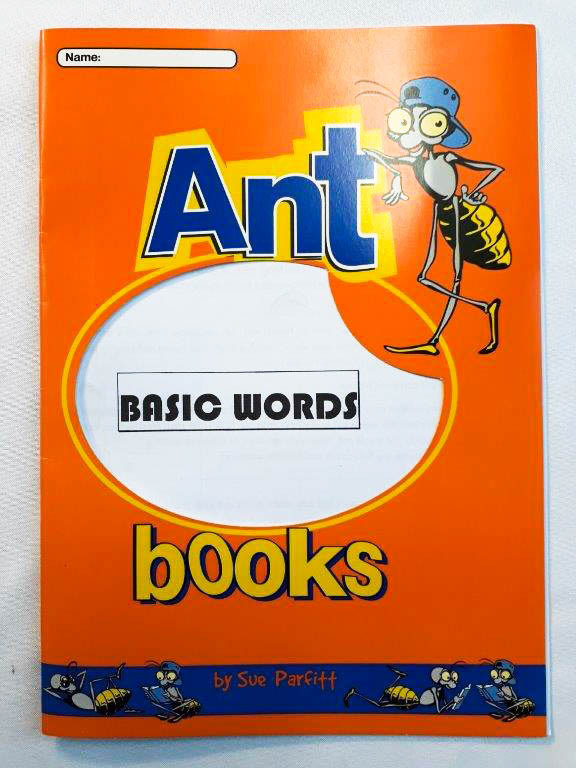 Can be used in the teaching of any language. 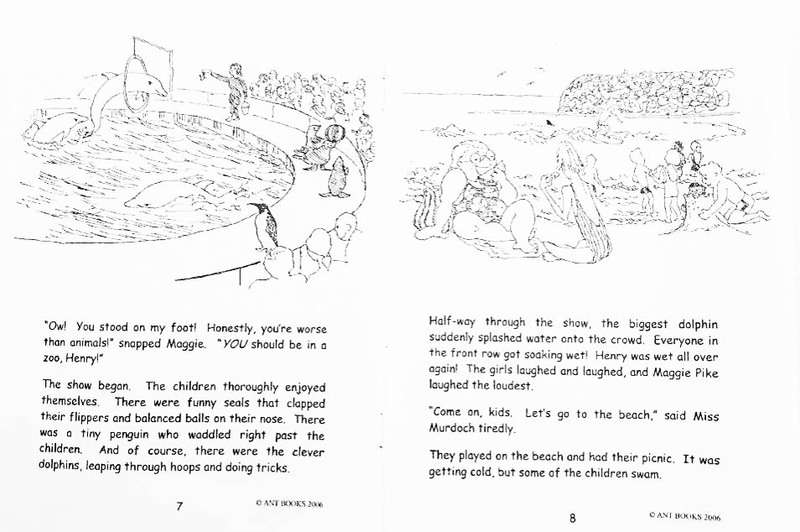 I have found that with repeated ‘playing’, children become more and more adept at creating and writing good stories. 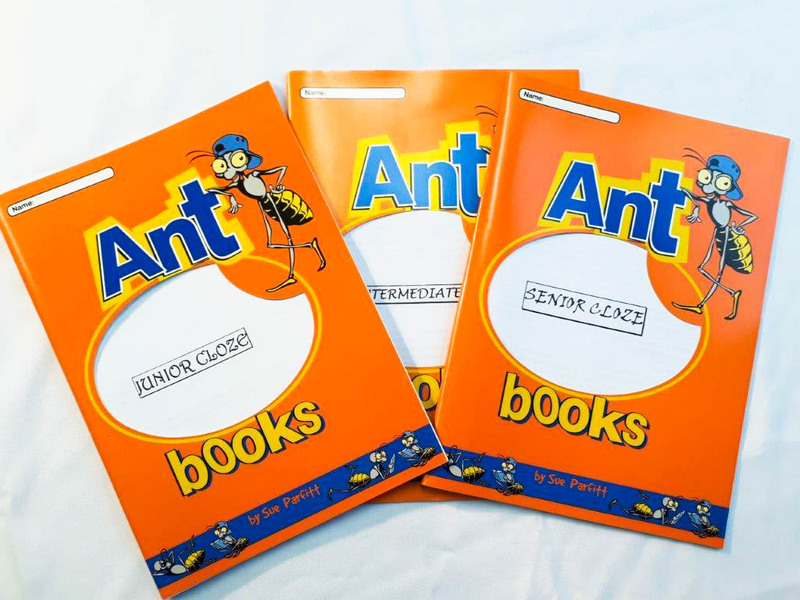 The set comes in its own container with a guide giving plenty of ideas for usage. 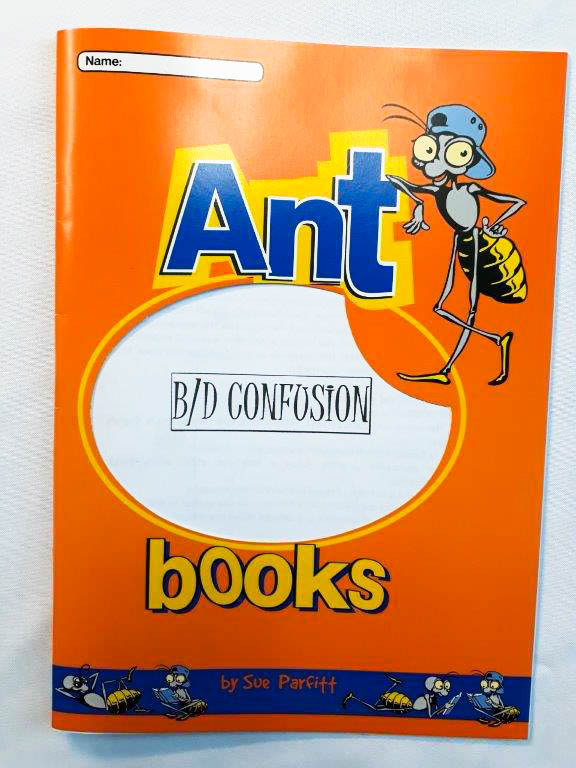 Ant Books @ 2018. Designed by Graficode.co.za. All rights reserved.